On a clear day flying into Sydney’s Kingsford Smith Airport you might just be lucky enough to get a good, long, panoramic look at one of the world’s most iconic city-scapes; a visual treat after the rigors of round the world travel. Make no mistake, whether you are flying from the UK, or from North America, the leg to Sydney is a long flight – but strap yourself in, watch as many movies as you like, and get some rest because trust me, Australia is worth the effort. 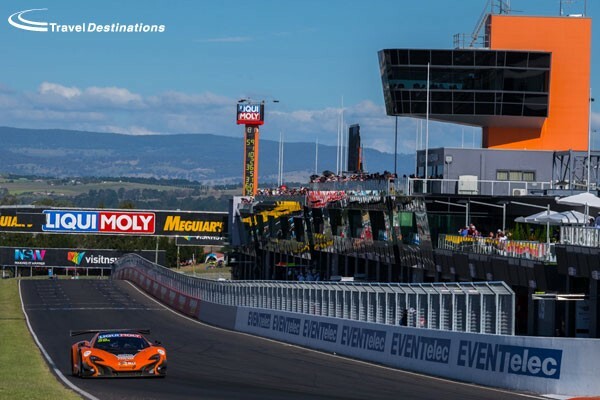 If you are flying all this way then you will, surely, have made plans beyond a mere motor race – but, as we’ll see, the Bathurst 12 Hours is anything but a ‘mere’ motor race! From Sydney it is around a three and a half hour drive to Bathurst; the longest established inland settlement in Australia. To get there the drive takes you on one of two different routes; over and around the beautiful Blue Mountains. Take the Great Western Highway out of town, and try to navigate your route to take in a crossing of the Sydney Harbour Bridge. Take your time, and view a couple of the more touristy sights – they’re worth it. The Three Sisters is a stone cold world class sight – a rocky outcrop overlooking the majestic Blue Mountains – astonishing scenery. Then on the way back to Sydney, by the way, take the other road by turning left at Lithgow. It may be a more circuitous route, but it is on a driving road that you’ll not forget! An hour further on from Lithgow, and across the Bathurst Plains, past road signs urging caution for carelessly crossing kangaroos and wombats (no really!) and you’ll see – up on the left hand side in the distance, one of the most famous sights in motorsport, the painted sign that confirms that you are getting closer to Mount Panorama. Nothing honestly prepares you for the reality of driving (it’s a public road), or even walking (it’s a heck of a climb!) to the top of the Mount Panorama Circuit. It’s oh so familiar to followers of the iconic Bathurst 100 as well as the more recent 12 Hour GT race, but while every inch is familiar, it’s somehow steeper, narrower, the concrete walls bigger and closer than TV can possibly depict. This circuit is a monster, rewarding perfection, punishing anything even marginally less. Happily the grid is stacked with names for whom perfection (and perfection at blinding speed) is an area on their record with an A* marking! And when the track, and it’s challengers and their chosen weapons, combine, be prepared for a spectacle that few other events can match. 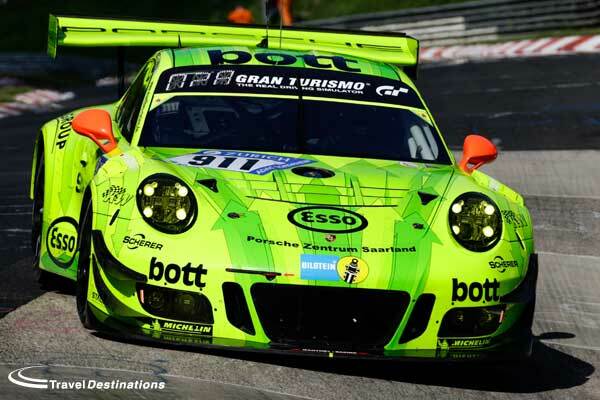 There are faster tracks, and faster cars – but the combination here, with the GT3 cars that are faster than literally anything else permitted to race here, negotiating slower cup cars and specials, it is spectacular. Trackside viewing is astonishing too, with so many spectator banks and vantage points. Listen to the advice from the locals and stay away from the long grass at the top of the mountain though! Stay to the well-trodden paths, and find the best viewing spots and you will remember this place always. Add in the remarkably open paddock, chock full of GT3s superstars and V8 Supercars megastars. Add a support programme that delights, from Aussie Combined Sedans (think Trans-Am meets V8 Supercars and Time Attack), through historic GTs and others and fans that bring the party right along with them and you’ll have a racing weekend that blends the best of Europe and the USA with something very different, and very special. And while you’re here find the time to take in the circuit museum – there is no better collection of V8 Supercars anywhere, and get a pie and a pint in the historic downtown at Jack Duggan’s – another Bathurst institution. Travel Destinations make things easy for you. They have comfortable hotel accommodation or simple apartments reserved in downtown Bathurst. You can walk to the circuit if you want to, but lets face it most people will still take their car. 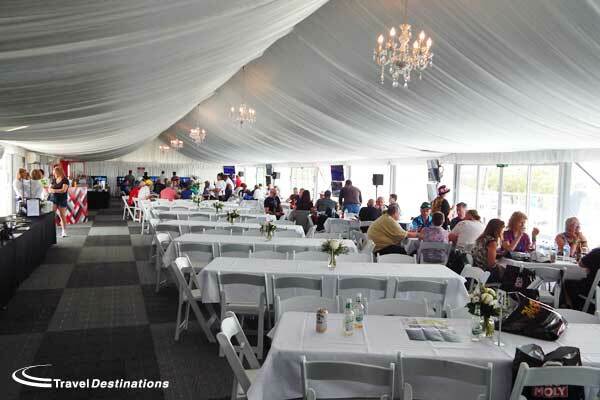 Adding to the comfort is the hospitality at the track. Yes you will want to go to the top of the mountain and view from different places around this great track, but it is likely to be hot, maybe very hot and having somewhere to rest and re-hydrate is so important. The 12 hours Club is an air-conditioned marquee located on the very top of the garages and pit lane. From here you can eat, drink and be merry, whilst never missing a moment of the on-track action. 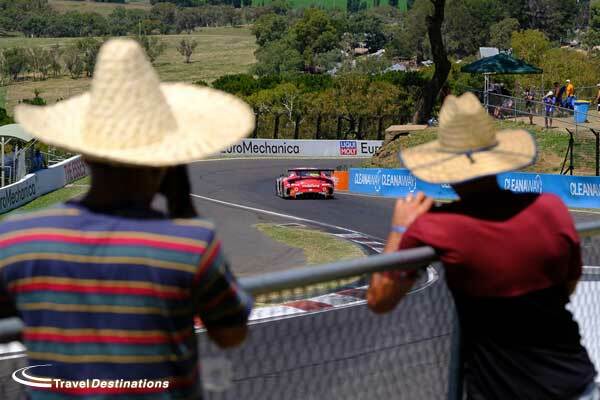 It is an ideal venue for enjoying the Bathurst 12 Hours long-weekend. Take the plunge, contact Travel Destinations, make the trip & you won’t regret it. 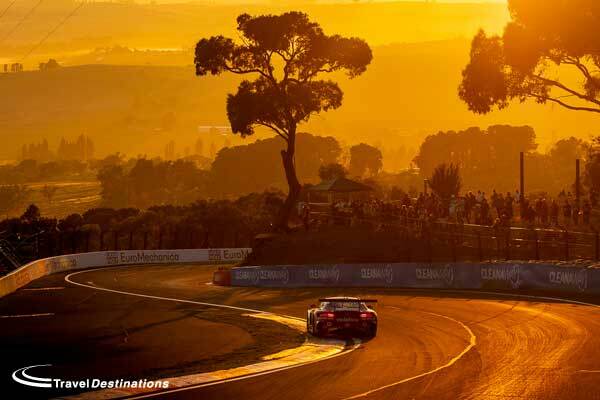 The Bathurst 12 Hours is, without doubt, the world’s newest, truly classic, endurance race. 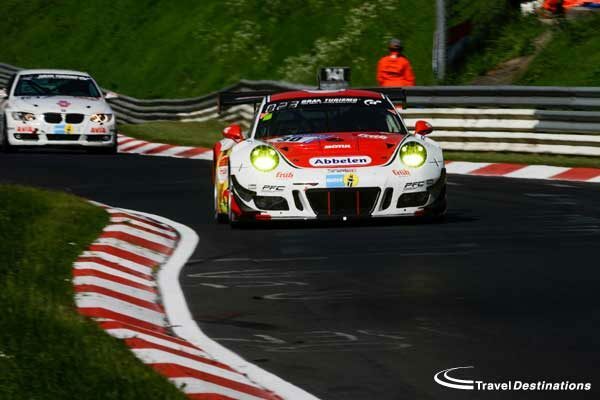 This year is the 46th running of the Nurburgring 24 Hours, arguably the toughest race on the planet, which pits man and machine, against the toughest circuit in the world – the Nürburgring Nordschleife – and often, unpredictable weather. And that’s the reason around 200,000 people descend on the Eifel region each year in western Germany, because it’s un-predictable, spectacular, and off the track, it is a wild party. 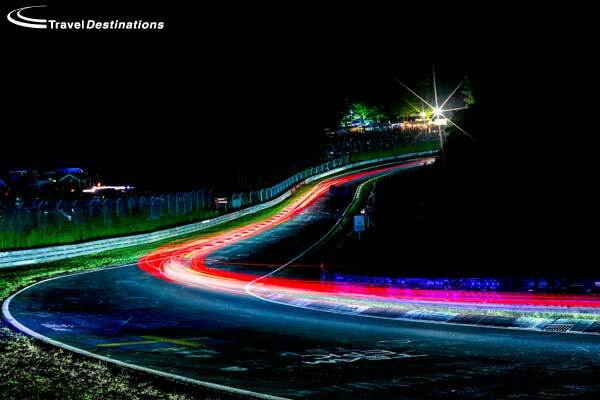 It may not have quite the international prestige of an endurance race like Le Mans or the Sebring 12 Hours, but when you’re there, you’ll realize that the Nurburgring 24 Hours doesn’t need it, as it isn’t lacking in any area. It is a spectator’s dream, with such a vast circuit to explore and watch from, and with unrivaled variety in machinery racing together on the same circuit, it’s hard to look away. The race has been held since 1970, and in recent years has exploded from a quirky German event, with low powered touring cars and a few odd-ball GT cars, to a race which all the key European factories take very seriously. It is now an arms race between the German marques. At Le Mans, Porsche or BMW may bring two cars to the top GT class, but at the N24, where strength in numbers is key, customer teams oozing with factory drivers and support come in big numbers to help their respective manufacturer take an all-important win. What you’re left with, is a titanic battle between over 30 cars from the likes of Porsche, Mercedes, Audi and BMW, with other entries from the likes of Aston Martin, Bentley, Ferrari, Lamborghini and sometimes Lexus thrown in. What are the factories racing with you ask? 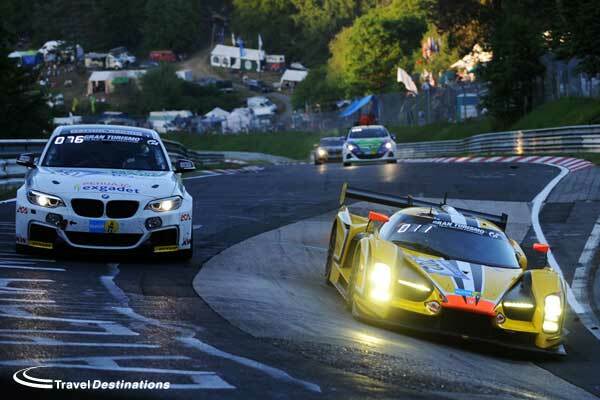 GT3 cars, and the odd N24 special like the fabled Glickenhaus SCG003C. At most circuits, GT3 cars may not seem like high-powered monsters, but at the N24, when they literally have to slalom through endless streams of lower-class GT and touring cars on narrow stretches of road, they look remarkable, especially towards the end of the race when they’re covered in battle scars. And yes, they do still get a little bit of air at certain parts of the circuit when the drivers push themselves to the limit! The race itself – which is run on the full Nordschlefie with the GP loop on one end – is astounding. At night it’s an absolutely awe-inspiring event, and during the day, it’s got a similar ‘motorsport festival’ vibe that its French counterpart does. It’s not the easiest to follow, (but if you have data you can stream Radio Le Mans track-side for English commentary and view live timing), but you’ll be so swept away by the atmosphere that sweating over who’s leading some of the small classes won’t cross your mind. It’s true, that the Nurburgring 24 Hours is still very much a German affair, but don’t let that put you off, in fact, treat it as part of the charm. Much of the fanbase who line the sides of the circuit and sleep track-side in ludicrously large tents, caravans, motorhomes, or a combination of all three, are seasoned veterans. They’ve been there, done it, and got the t-shirt, and while they can seem intimidating, as they can, and will, drink most under the table, they’re friendly, and have really come to like the new international feel the race has. If you’re new to spectating on the full ‘Ring, you’ll benefit greatly by getting a map and planning which sections you wish to do before the race. Prepare to spend a lot of time during the race getting from corner to corner in your car or a shuttle bus, but once you get to each spectator point, you’ll realise quickly that it’s worth the wait. Especially as large parts of the circuit are accessible on foot, and linked together. Don’t be afraid to start at one corner, and keep walking through the forest in one direction for an hour or two, five or six corners up the road, then turn back and do the same again in the other direction. It’s one of those places where, you’ll look down at your watch, and realize you’ve lost six hours seemingly at the snap of your fingers. 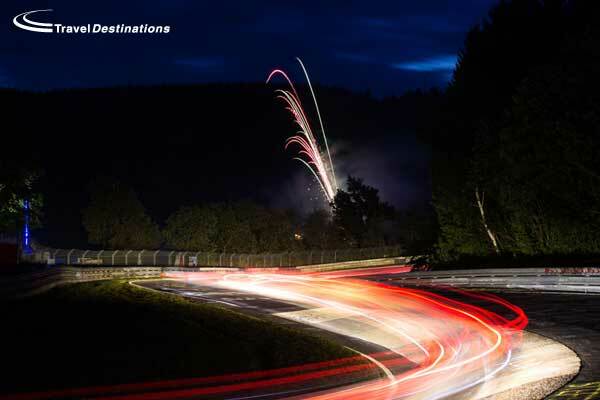 The best places to visit as a spectator are Pflanzgarten – where the cars snake downhill, and in some cases leave the ground over the crest at the bottom – and Hatzenbach, where drivers have to really work hard to dart past traffic through the narrow esses. The Schwadenkreuz is also worth visiting, as for drivers, it provides a great challenge. It’s a fairly gentle and innocuous- looking corner, but a deadly camber change mid-way through can seriously unsettle a car. Heading for the village of Adenau allows you to access the track and walk back in the opposite direction to race traffic. Starting at the Breidscheid bridge, you climb uphill with the circuit to your right, peering down through trees at the action below. You’ll eventually come to Metzgesfeld, which offers a nice view of the double-apex left-hander after Adenaur-Forst. Another good entry point is Hohe Acht, towards the end of the lap. 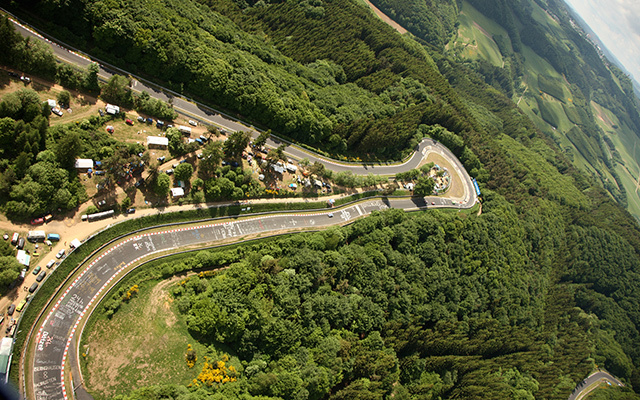 You’ll need to park up and walk along a forest path for about 20 minutes to reach the track, but once there you can walk down through a campsite to the world-famous landmark that is the ‘Karussell’, where you’ll hear the constant crunch of front splitters and undertrays hitting the ground as the cars negotiate the iconic banked hairpin. You can then walk back up the hill to Hohe Acht, before heading downhill in the opposite direction, walking in the same direction of the cars this time, past a series of sweeping left- and right-handers that drop down to the double-apex left at Brünnchen: home to a large and very vocal spectator camp. 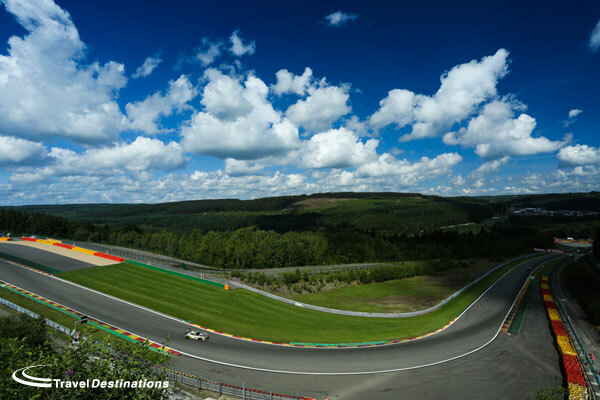 The track then climbs again, passing through the opportunity to ‘get air’ at Pflanzgarten, before it reaches Döttinger Höhe – the Nürburgring’s fastest section, where the cars run flat-chat for about two kilometres. If you’re driving on the main road that runs parallel to the straight, turn off at the Bilstein bridge and park on the approach to it. Taller fans (or shorter ones on stepladders) should be able to peer over the advertising hoarding and get a stunning view of the cars cannoning down the straight towards them on the approach to the Antoniusbuche left-hand kink. Shortly after this point, the cars rejoin the modern Grand Prix circuit and begin another lap. You can also see it by standing behind the big iron gate by the Devil’s Diner at the tourist entrance. Oh and don’t discount visiting the GP loop, which is a great place to watch the start of the race from, and if you get there early enough on the Saturday, you’ll be allowed to go on the grid for the colossal grid walk, by heading across to the paddock via the pedestrian tunnel by the Bilstein Tribune. But these parts of the circuit, are just the highlights, when you go there yourself you’ll likely discover somewhere that you’ll be certain nobody else has found – it’s that sort of adventure. When you arrive, forget everything you already know about motorsport spectating, strap yourself in and prepare for a wild ride. 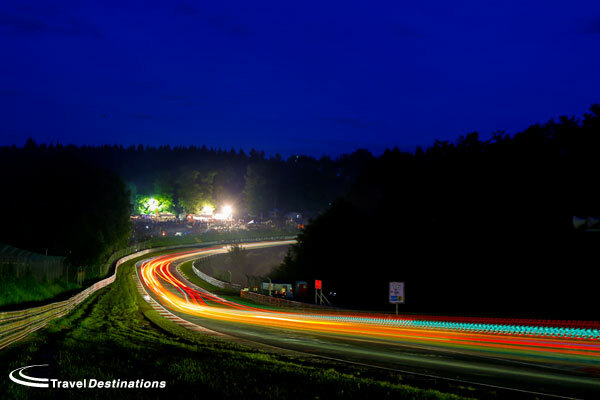 There really isn’t anything like the Nürburgring 24 Hours, and that, is why you’ll want to keep coming back. 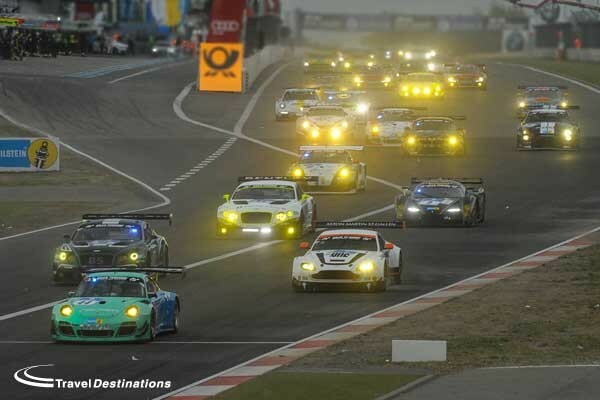 The dates for the Nurburgring 24 Hours change each year as it follows a public holiday. 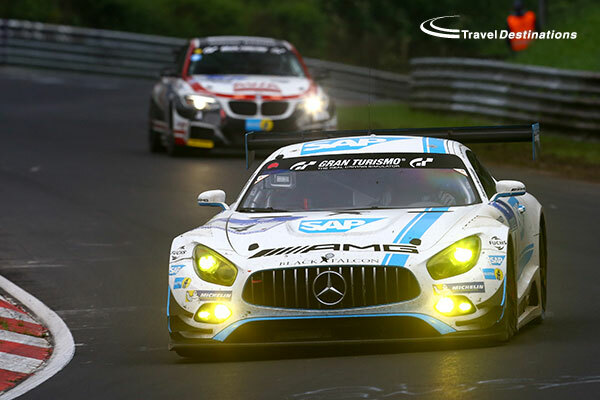 You can join Travel Destinations at the Nurburgring from the 10th – 14th May 2018 and then again next year from the 20th – 24th June 2019. You can reserve your place on our private trackside campsite now by calling 0844 873 0203. 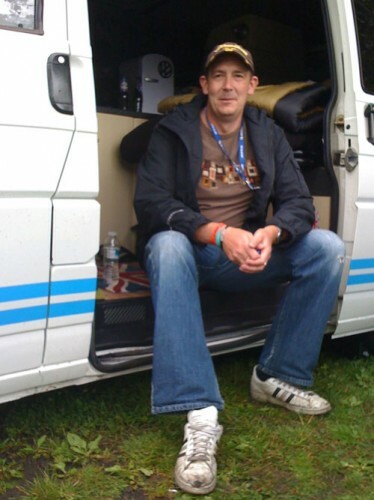 Our man in the stands has just returned from Bahrain, following the last round of the FIA World Endurance Championship. Below are a selection of his thoughts following what was a memorable and emotional race. 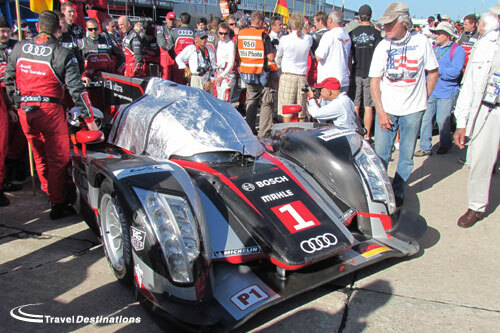 Audi could not win a title in its final season of LMP1 racing, but they did manage to win one final race. In true Audi fashion, the No.8 R18 of Oliver Jarvis, Lucas Di Grassi and Loic Duval dominated the 6 Hours of Bahrain, headlining an Audi 1-2, giving the team one final hurrah before its 18-year Le Mans prototype programme came to an end. It was an incredibly emotional weekend all round for all those connected to Audi, with tributes to the team aplenty throughout the meeting courtesy of both the race organisers in the FIA and many of its competitors. Toyota in particular were as classy as ever, sporting tributes to Audi on the nose of their TS050s, and getting its team to hold a banner which read “Thank you Audi. We will meet again, some time, some where.” on the final grid walk of the season. 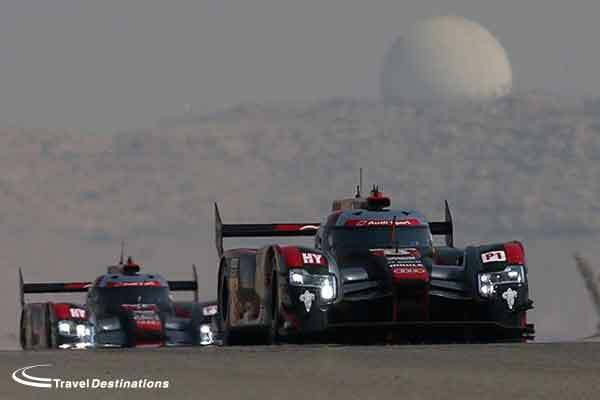 The WEC came together as one, and in the fairest way possible, gave Audi a worthy send off. Then, once the race got underway, both the R18s raced off into the distance and were unchallenged past the first hour of the race. All season long the the 2016 R18 has proven to be the quickest of the three hybrid LMP1 chassis, but also the most unreliable. 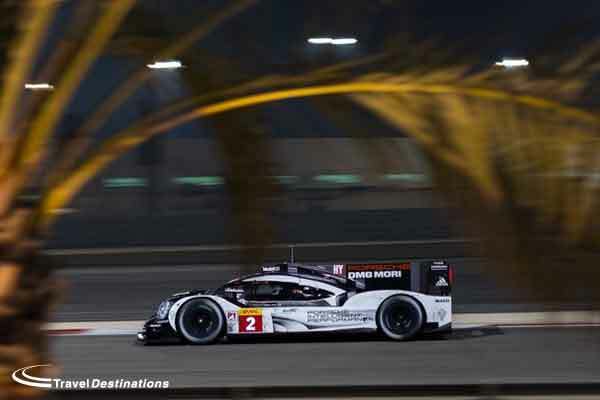 In Bahrain though, that was not the case, as the pair of Audis ran faultlessly for the duration, finishing the race over a minute ahead of the No.1 Porsche. The result left everyone wondering what could have been, had Team Joest been able to replicate such dominant performances earlier In the year. It appears that Audi’s sudden departure has done little to effect the attractiveness of the FIA WEC to world-class drivers, as two-time Formula One World Champion Fernando Alonso all but confirmed his intention to drive for Porsche at the end-of-season FIA WEC Awards Ceremony. In a tribute video to mark the end of Mark Webber’s driving career, a personal message from Alonso was shown on the video boards at the gala, in which Alonso said: “You’ve had a fantastic career and now all your success with Porsche. You didn’t wait for me there, it would have been nice but you’ll still be around and I will ask you many things when I join your adventure.” Fernando Alonso joining the party would give the FIA WEC a huge boost at a time when it’s in dire need of a good news story. He would bring not only talent, but a wealth of publicity to the championship, which could go a long way in attracting further manufacturers into the LMP1 H class. 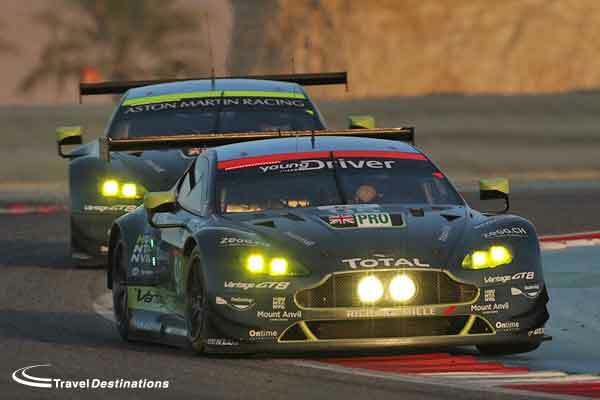 While Aston Martin Racing left Bahrain with a pair of GTE Pro championships, the team at one point looked to have all three sewn up. At the halfway point of the race, Aston’s pair of Vantages were running 1-2 at the head of the field, until a wheel came off the No.97, forcing Darren Turner to pit the car for repairs. The result was AF Corse taking the Manufacturers World Cup for Ferrari with a second and fourth place finish. Nevertheless, it was a great result for the British marque, which after five years of trying, now has championship wins to show for its efforts. GTE Pro this season was a strange one, with Balance of Performance rows aplenty and on-track battles frankly too few and far between. But Aston Martin Racing proved that you don’t need a turbo-powered car to win in GTE, and that a budget like that of Ford’s doesn’t necessarily ensure you are any more competitive than the next team. Ultimately, that’s exactly the philosophy that the FIA and ACO are trying to achieve. Audi’s withdrawal from the sport has already started to send shockwaves across the sports car racing world. The first notable one coming last weekend when the ACO announced that the current LMP1 H regulations will be frozen until 2020. That ensures that costs are kept down due to development and testing restrictions, put in place, presumably to keep Toyota and Porsche coming back for more. It also means that running a third energy recovery system with a 10 megajoule package is now not on the horizon. Will it attract any new manufacturers? That appears unlikely unless there is a real cost-capping system in place. Never say never though. When all was said and done on Saturday night, Marc Lieb, Romain Dumas and Neel Jani were crowned champions, despite failing to finish on the podium in the six races after Le Mans. The trio in the No. 2 Porsche scored consistently throughout the year following their triumphs at Le Mans and Silverstone, but never found the combination of pace and luck needed to claim more silverware from the series’ trip to Germany onward. Nevertheless Porsche are worthy champions, and their championship represents the spirit endurance in almost every way. The No. 2 car battled issues, incidents and rotten luck to finish every race with points, and cruised home to take the title at Bahrain sixth after an early puncture put them three laps down. What will be interesting though, is what the future holds for all the Porsche drivers, as there have been rumours swirling about that the Porsche lineup will feature some new names for the 2017 FIA WEC season. Every big sportscar event rises and falls in prominence for various reasons throughout each decade, and at the moment one that’s most definitely on the up is the Bathurst 12 Hour. Over the past few years the quality of the grid has skyrocketed, along with its promotion and viewership. It’s a spectacular showcase of endurance racing, in a unique setting. 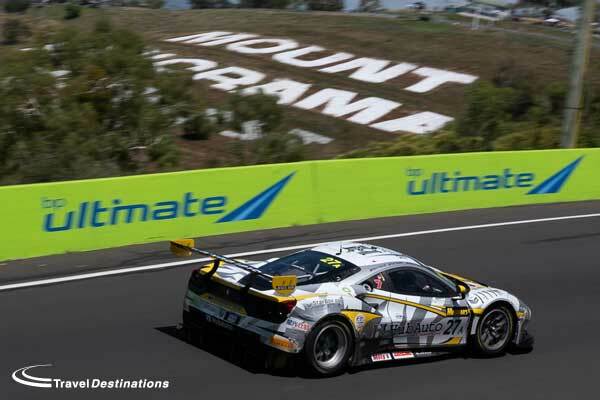 Mount panorama is an astonishing place to watch a motor race, steeped in history, and in terrain. 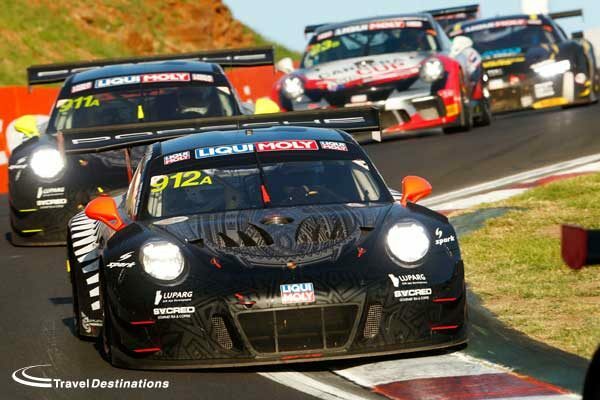 If you visit Bathurst for the 12 Hour you’ll see GT cars tackling one of the world’s toughest and most technical circuits, through day and night, and from a variety of vantage points. As a spectator, you can see The Chase, the front straight, Turn 1 and the top of the Mountain. Thankfully, there’s a shuttle bus to the top of the mountain too, so you don’t spend the whole race building up the courage to tackle the ascent to the top of the circuit. Once you get there, the views are stunning, and unlike anything you’ll see anywhere else on the planet, especially as the sun rises at the start of the race, which don’t forget kicks off in the darkness early in the morning and runs through the day. So what’s the grid like? Well, it’s now a race with a plethora of factory supported GT3 teams, from the likes of Bentley, Nissan, McLaren, Aston Martin, Ferrari and Porsche. The driving talent is top notch too, with a combination of Europe’s finest GT drivers and V8 Supercar legends, past and present. There’s also plenty of other cars in the race, with GT4, Porsche Cup and specials making up the remaining classes. One thing’s for sure too, that everyone on the circuit pushes hard. The Bathurst 12 Hour has seen some monumental battles between star drivers, especially recently. Only last year with McLaren’s Shane Van Gisbergen broke the circuit the lap record in Qualifying, before going on to battle through the races with numerous other star drivers on his way to victory. The past three years in particular, have provided spectators with some of the closest and most dramatic finishes too. The nature of the Bathurst circuit is such that going a lap down isn’t as common as other places, because the traffic density is off the charts. It means we’ve seen last-lap passes for the lead, collisions in the final hour and drag races to the line, sometimes all in the same race. If you’re heading 30 hours round the world on a plane though, you’re not likely to just turn up for the race and then head home. With Travel Destinations you can book a self-catering apartment near the circuit, hire car and hospitality along with tickets and flights. It’s certainly worth a bolt-on holiday before or after. If you love a good road trip, you’ll be in heaven too, as the drive from Sydney to Bathurst is three hours of pure driving pleasure, as you pass stunning vistas and cross the Blue Mountains. 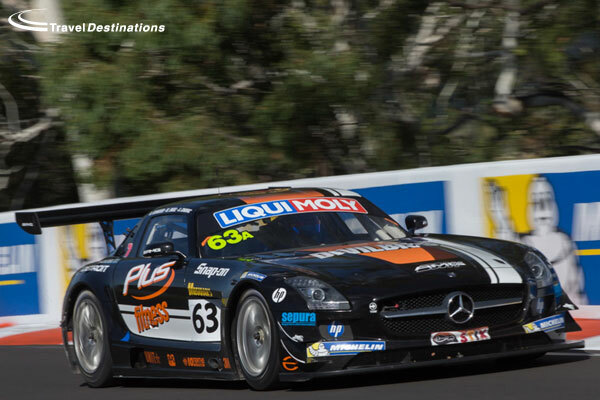 Going to the Bathurst 12 Hour, is a trip that’s more than just going to a race, you’re going for an experience. While travelling around Europe and even to America these days can at times feel pretty ordinary, flying to Australia for a break most certainly isn’t. 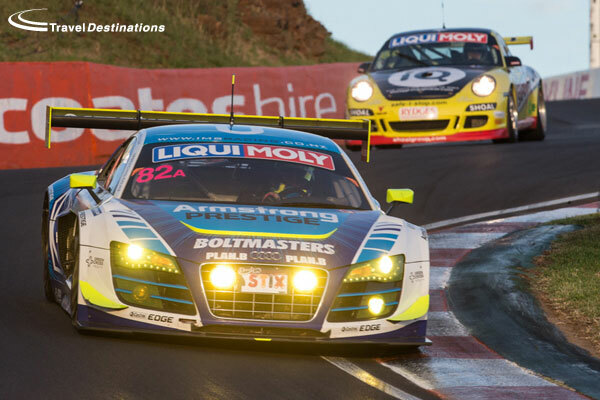 The Bathurst 12 Hour is about door-to-door racing, spectacular views, road trips, atmosphere and so much more. 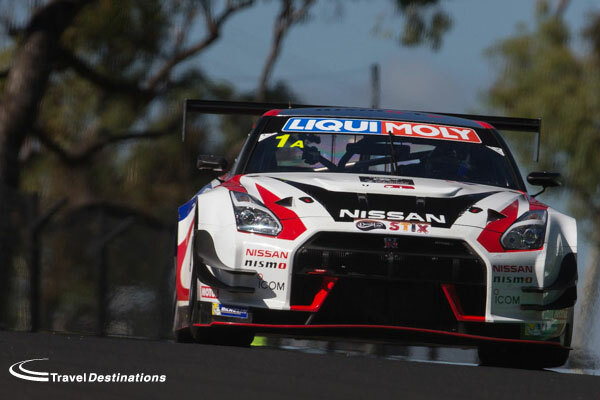 A trip to the Bathurst 12 isn’t your usual trip to go and see a motor race, it’s an adventure of a lifetime. 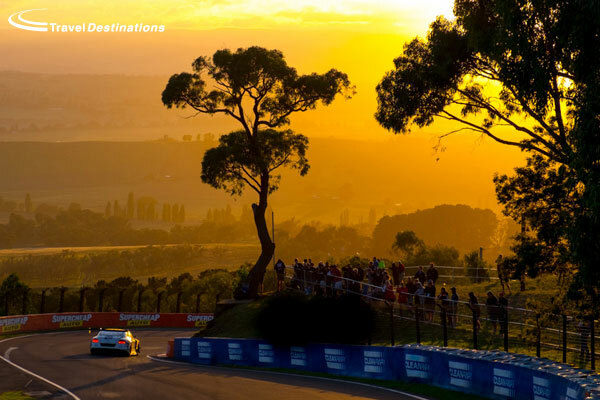 Join us this year in Bathurst with our accommodation and hospitality offer. 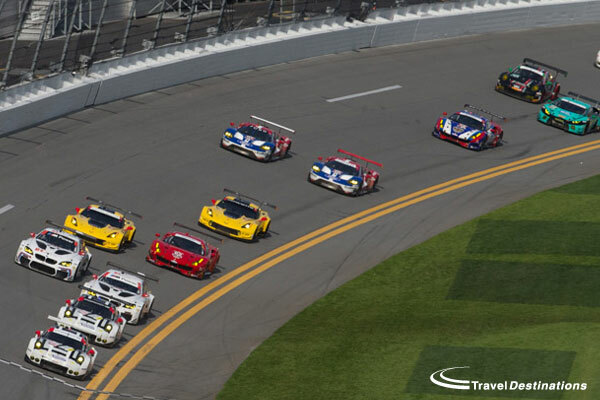 Sportscar racing for 24 Hours on the iconic banking at Daytona has been a tradition since 1962, yet it still feels like a new and fresh event. The racing rarely disappoints and as a spectator, there are few events like it, with spectacular views and great paddock access. 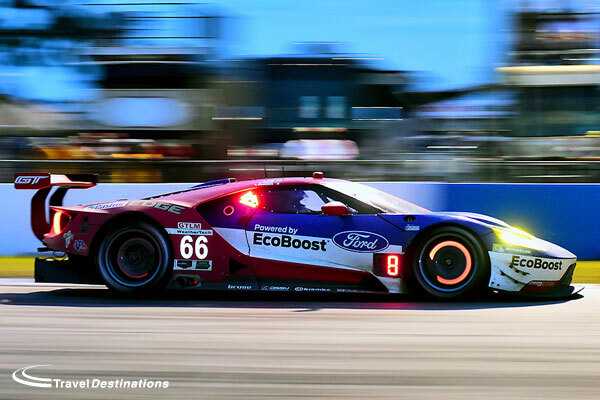 While it may not have the sheer mega-event atmosphere of an event like Le Mans, the Daytona 24 Hours is growing year on year in importance and has replaced Sebring as the ‘first day back at school’ event for traditional endurance machinery. Throughout its history its been a hotbed for some of the best cars and best drivers on the planet, with plenty of IndyCar drivers, WEC drivers and endurance racing legends on the entry list each year. So what’s so special about next year? 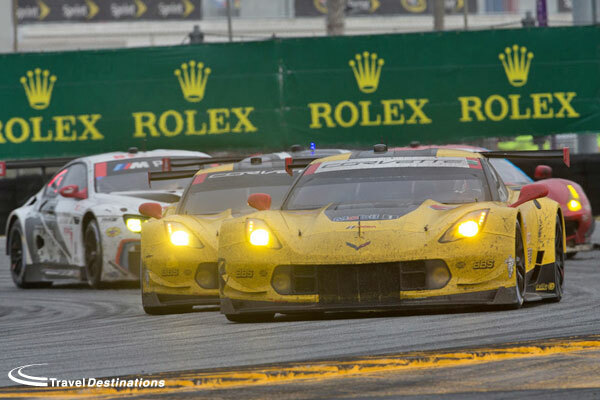 2017 will mark a new era for the Rolex 24 at Daytona, with the introduction of DPis at the head of the field. Daytona Prototypes which to put it lightly, weren’t to everyone’s tastes, are no more, replaced with a platform for manufacturers to truly utilize. The concept behind DPi is a pretty simple one, a manufacturer or private team will run brand new LMP2 chassis with an engine of their choice and factory-specific aerodynamics. The cars will be quicker, more agile and promise to look good too. Now, it’s unlikely that we’ll see a huge grid of them in year one, but the list of confirmed teams and manufacturers is getting longer by the month at the moment. If you head to Daytona next year, you’ll get a glimpse of the future of IMSA prototype racing in what promises to be a significant milestone in IMSA history. Outside of that, the GT ranks promise to be as spectacular as usual, with a healthy GTLM class, with multiple manufacturers running their GTE examples, and a bumper GTD field of GT3 cars with some of the world’s best drivers behind the wheel. Variety is king as Corvette, Audi, Lamborghini, BMW, Ferrari, Porsche and Ford will all be represented. But what makes Daytona particularly special is what it offers to fans who make the trip. The speedway owners are still reaping the rewards of their $400 million regeneration project which has improved the facilities massively in the past year. 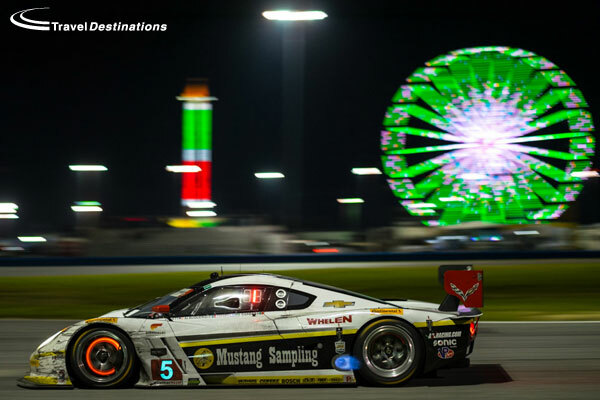 Anyone who sits on the grandstands will get an incredible panorama, which while impressive during a NASCAR race, comes alive during the Rolex 24. Seeing the cars blast down the back straight, round to the paddock area, before darting into the infield and snaking through the camping grounds is a sight to see. 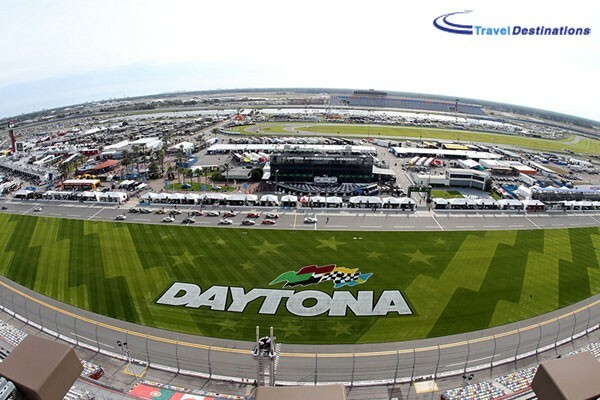 You won’t have to camp out at one corner with a limited view, on the Daytona banking you can see it all. Couple that with the sounds echoing off the grandstands and the fireworks displays and you have an incredible nighttime atmosphere too. Daytona feels closed off from the world, but far from claustrophobic. There’s plenty of places to venture too in and away from the paddock, and in true endurance racing fashion, fans can get up close and personal with the cars throughout the race week. Anyone planning to go and watch a race stateside should really consider heading to Florida for the Rolex 24 next year, it’s an iconic event, at a mecca of motorsport and 2017 will be a year to remember. There is currently still some availability to join us for the Rolex 24 at Daytona 2017. Details of our exclusive offer are available here or you can call us on 0844 873 0203 to reserve your place. 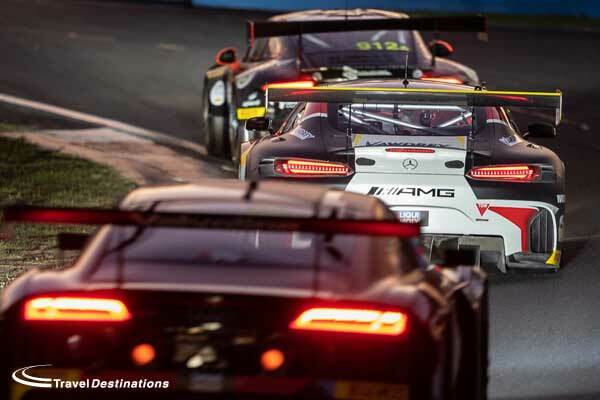 This year’s Nürburgring 24 Hours was record breaking, with Mercedes finishing 1, 2, 3 & 4 seeing off all threats from the other manufacturers in the race. There were so many talking points, with adverse weather, a few sizeable incidents and an unusually quiet showing from favourites Audi, but the main one was Maro Engel. At the end of the race, the leading No.29 HTP Mercedes had a comfortable lead of a little under a minute over the No.4 Black Falcon AMG GT3, but the No.29 had to pit for fuel. The splash at the end created a phenomenal final two laps, with both Christian Hohenadel and Engel fighting it out for the lead. In the end Engel pounced at RTL corner on the final tour of the circuit, diving up the inside of Hohenadel, rubbing doors on his way past to take the win. The Black Falcon team were euphoric, HTP staged a protest against the move, and the fans went wild in the stands. If you like drama, it was the perfect way to end a 24-hour race. 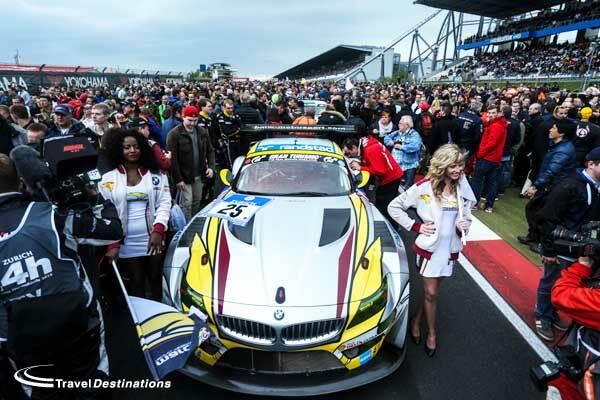 What’s particularly special about the N24 though, is that further down the order there are hundreds of other tales to tell amongst the runners and riders in the 150+ strong grid. 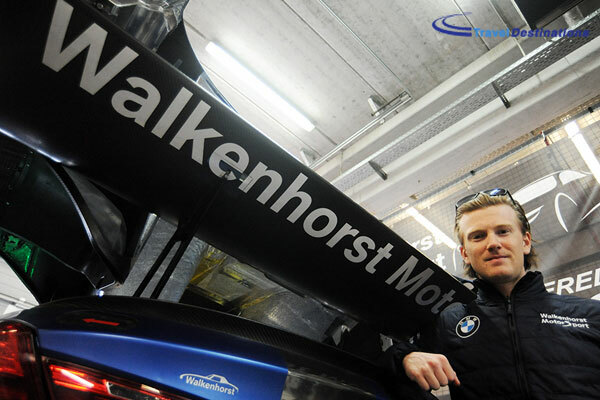 Like the story from the up and coming British driver George Richardson, who co-drove Walkenhorst Motorsport’s No.101 PlayStation SP9 class BMW M6 GT3 with non other Gran Turismo creator Kazunori Yamauchi, Max Sandritter and Mathias Henkola. 2016 was an incredible race, 2017 promises to be just as good, if not better. 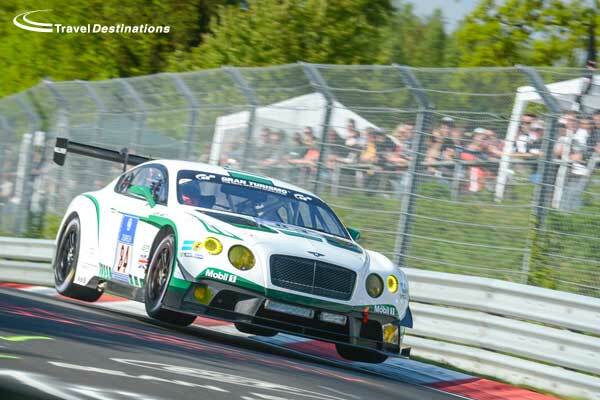 You can register now with Travel Destinations to be at the Nurburgring 24 Hours 2017. Call 0844 873 0203 to reserve your place now. There was a time when Spa Francorchamps’ annual 24-hour race was a touring car contest, relevant only within Belgium’s borders, but those days are very much over. 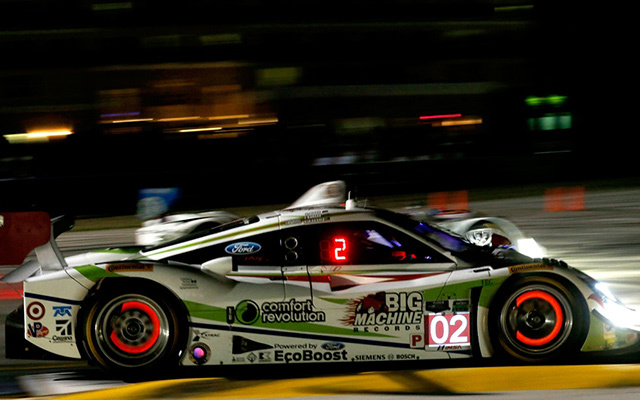 Since 2001, it’s become a pure GT race, and in many ways much better for it. 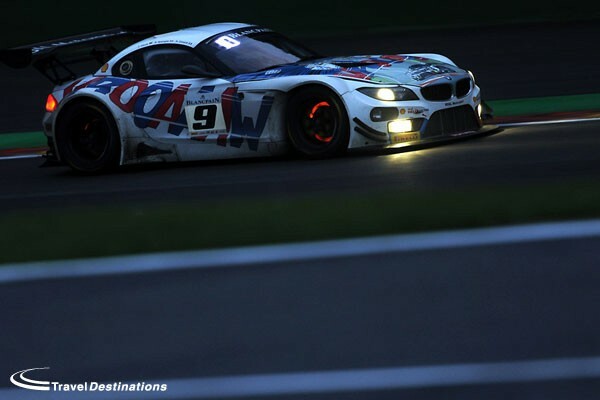 The 24 Hours of Spa is a race that’s become famous for its gritty and spectacular racing. 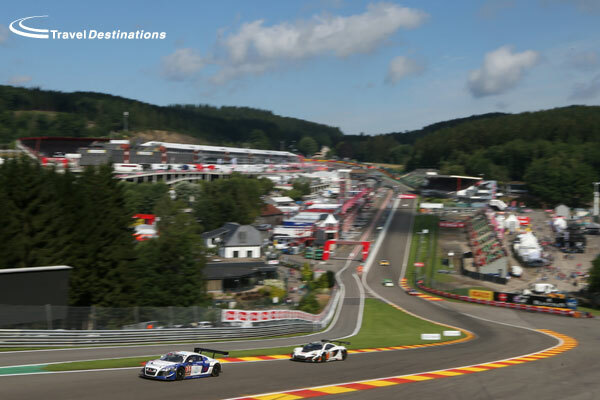 If you love witnessing feats of motorsport endurance first hand, there’s few better places to go than the Ardennes Forest in July. These days, a capacity grid of around 60 cars take on the Spa circuit through day and night for the ultimate prize in Belgian motorsport. 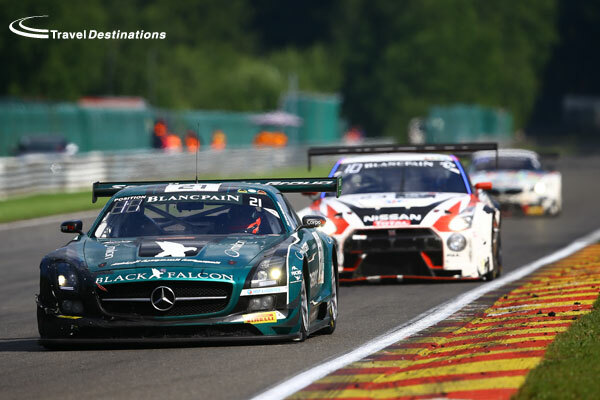 Like the Nürburgring 24 Hours, the 24 Hours of Spa has benefitted greatly from the addition to SRO-regulated cars, with the three classes in the race now made up entirely of GT3 cars from the Blancpain GT Series. With no significant difference in pace between the fastest and slowest car on the grid, the drivers at the front have to work extra hard to fight through the hordes of traffic. As a result, the cars that cross the line on Sunday afternoon after 24 hours of racing always look incredibly beat up because the competition up front is so fierce. In recent years, the race for the overall lead has been decided within the final few hours, with the adverse conditions at the circuit often taking their toll on even the most sophisticated examples of modern GT machinery in the closing stages. Plenty of factory-backed teams are due to be on the bill for this year’s race, showcasing the latest and greatest cars that SRO-sanctioned racing has to offer. The 2016 edition of the race has the mouth-watering prospect of having McLaren, Bentley, Audi, Mercedes, Porsche, Nissan, BMW, Ferrari and Aston Martin-backed squads in attendance. When you’re there, spectating up-close at Spa for the 24 has a unique charm. 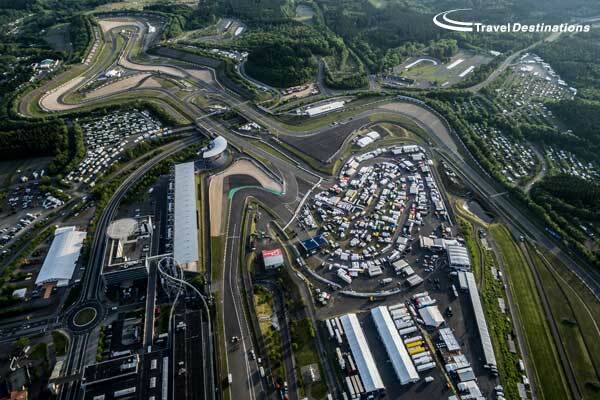 Unlike the Le Mans and the Nürburgring 24 hours, you can walk the entire way round the 4.3-mile circuit as a fan, visiting both the inside and the outside at various points with relative ease. Many of those in attendance spend the first half of the race doing a complete lap. They start on the start/finish straight grandstand and end up at La Source before taking a rest during the early hours of Sunday morning and coming back as dawn breaks to do the same again but in reverse, seeing the cars cross the line at the end of the race. Food options away from the main paddock are limited though, so packing your own food is advisable if you plan on spending much of the race out in the forests. The night hours of the race are particularly special. We all know Spa is a picturesque circuit in the day, but seeing over 50 cars it the pitch black, flying up Eau Rouge, with flames spitting out the exhausts and brake discs glowing is incredible. It’s the Spa we all know from watching Formula One and the WEC on TV, but on an another level. Standing atop the hill on the outside of the no-name corner heading down to Pouhon is also extraordinary. On a clear night, you can see cars passing through areas as far the Bus Stop from certain vantage points. With Travel Destinations you have the choice of camping at a private site towards Stavelot, or staying at a hotel in Malmedy. 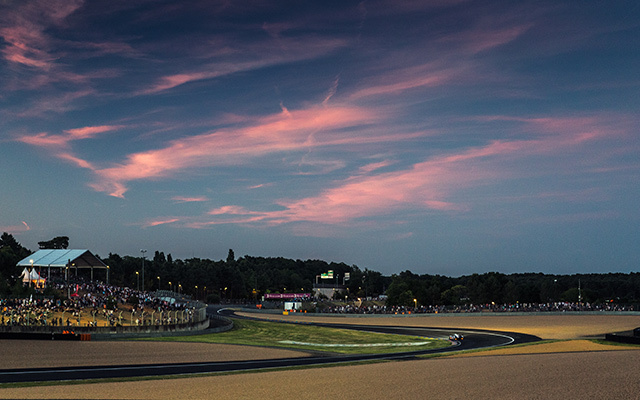 It’s quick and easy to access the track by calling a cab, or taking a short car ride throughout the race and its build up, because it has far fewer fans than a place like Le Mans. For everyone standing trackside, it has a far more relaxed feel than the other marquee endurance races, but that doesn’t in any way detract from the experience. 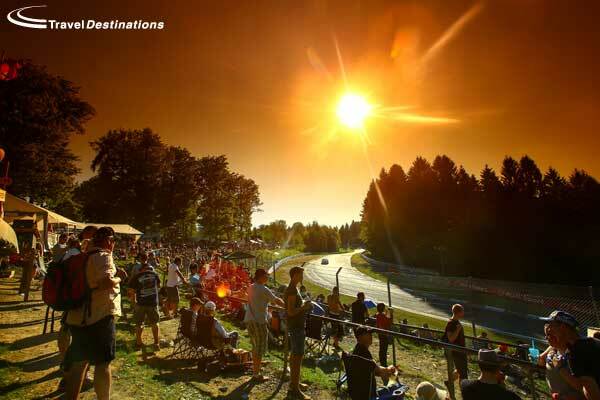 The Spa 24 Hours capture’s everything that’s appealing about watching an established race at a legendary circuit like Le Mans or the Nürburgring, but without huge crowds, sometimes limited spectator access and necessity to take a whole week off work to see the event. If you’ve not been to Spa for the 24 Hours, as an endurance racing fan it simply must be done. It’s a motorsport event that deserves your attention. 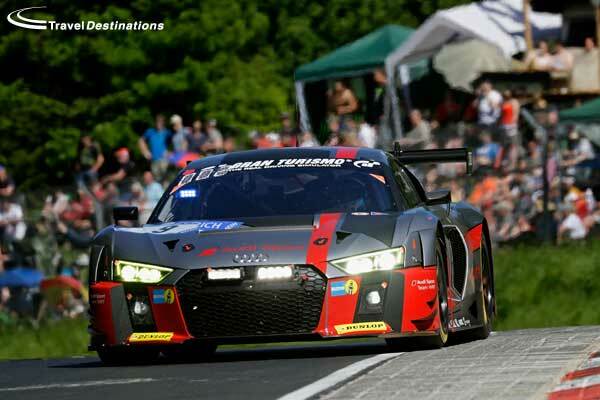 Follow this link for more details of how you can join us at the Spa 24 Hours this July! 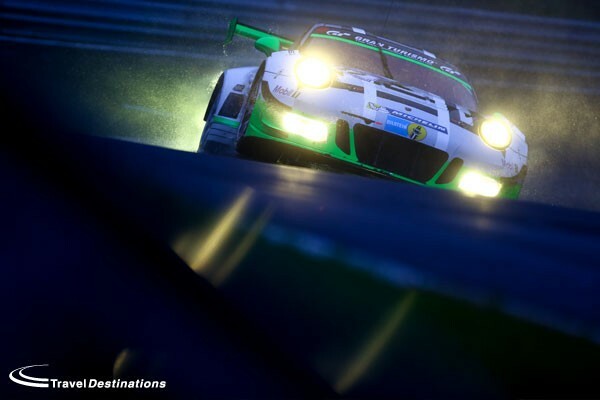 We asked Stephen Kilbey from Dailysportscar to try and explain why going to the Nurburgring 24 Hours is a must for all race fans. Stephen has lots of experience of visiting the best circuits around the world so is the ideal person to give his opinion. 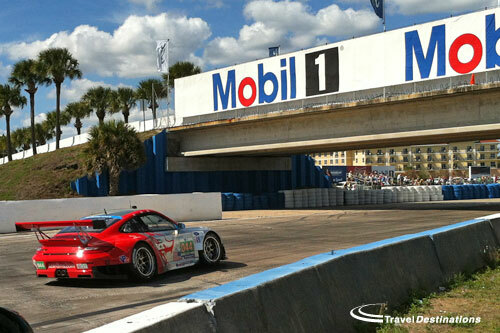 Travel Destinations can offer you a great chance to be at this year’s race. We have limited availability for our travel, ticket and camping offer from the 26th – 30th May. 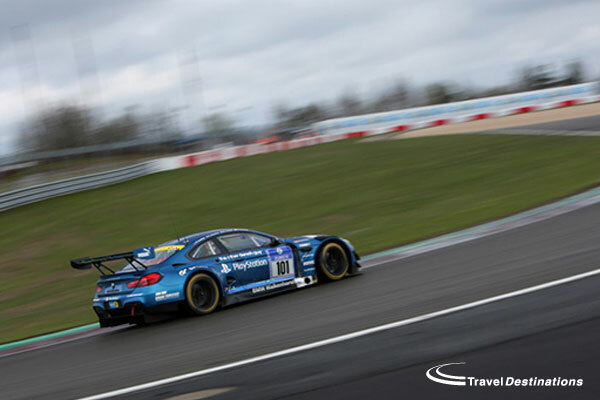 Travel Destinations have a private area reserved within the Camping am Nurburgring area reserved exclusively for our customers and managed by our staff. Book your place now by calling our reservation staff on 0844 873 0203. I am not what you might call a “petrolhead”. Nor would the idea of going on a holiday based around a motor sport event ever have occurred to me until I met my partner some twelve years ago. Indeed, up until that time my exposure to motor sport had been restricted to a few laps of the odd Grand Prix or a bit of the World Rally Championship seen on TV on a Saturday afternoon when I was a child. But who could resist the offer of a holiday to Australia – even if part of it entailed going to watch the Melbourne Grand Prix? That led to me joining the pilgrimage to the Le Mans 24 Hours with a group of other couples and this excursion quickly became an annual fixture. Well, you know: “if you can’t beat ‘em, join ‘em” and a relationship is meant to be all about shared interests and experiences isn’t it? Besides, going with my partner to watch motor sport gives him the opportunity to show off his considerable knowledge and that makes him feel good. And on top of all that, it’s quite entertaining really! So this year, because of family commitments, we were unable to go to Le Mans. Shock! Horror! The first time in fifteen years that he hadn’t been to Le Mans. What to do? Fortunately there exists now a whole series of endurance races, run to Le Mans regulations, in which the Le Mans teams and cars take part. 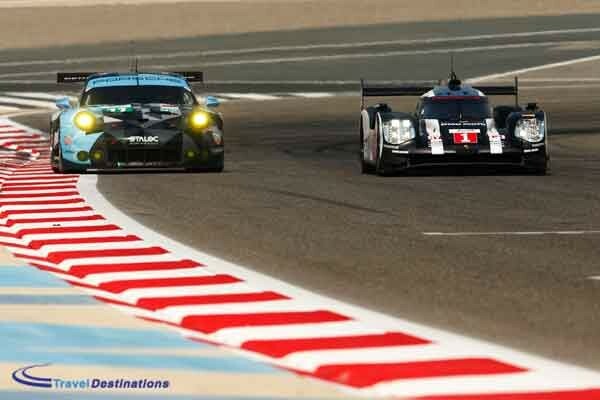 These take place throughout the year in various locations worldwide as part of the FIA World Endurance Championship. We decided to go to one of these races as a panacea for not being able to attend the Mecca of endurance racing. As we had no idea which would be a good race to watch, I tweeted one of the drivers who is part of the all-conquering Audi sports car racing team. Allan McNish replied that either Sebring or Road Atlanta (Petit Le Mans) were, in his opinion, the best events after Le Mans. There was no question about to whom we would go for our travel arrangements. We have relied on the wisdom and expertise of Travel Destinations to cater for all our wants and needs for our trips to Le Mans for many years, so it was obvious that we would consult them about our intended expedition across the pond. Richard told me that, because the rules for the American Le Mans Series & FIA WEC were changing this year, he wasn’t sure whether Petit Le Mans would still attract all the large and well-known manufacturer teams. In addition, the 12 Hours of Sebring was this year celebrating its sixtieth anniversary, so the race was likely to be a bit special. 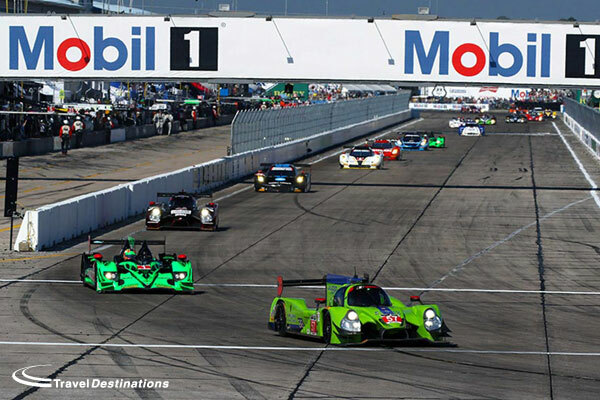 And so the decision was made: Sebring 12 Hours for a week in March. We also decided to stay on for an extra week in order to see something more of Florida, where neither of us had been before (I had never even been to America before). 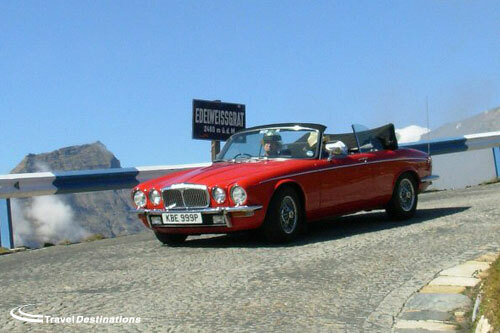 This wasn’t a problem: the package around the race itself – flight, hire car, hotel – was the standard Travel Destinations offer, but they would also arrange the additional time on the car rental plus the flight back on whatever date we chose. All we had to do was to find and book accommodation for the second week. I was very determined that I was having nothing to do with Disney, or any other theme park for that matter. Helen at Travel Destinations knows the area around Naples on the Florida Gulf Coast well and she made it sound very tempting, but in the end I knew that we had to be not too much of a drive away from Orlando, which was where we flew in to and departed from. I also suspected that, like Australia, Florida would turn out to be one of those places that looks quite small on a map but which in real life is actually the size of the British Isles! We ended up opting to spend our second week in Saint Augustine on the North-East coast. But that’s a whole other story. We followed the excellent advice given to us by Travel Destinations and made careful preparations for our trip: we followed the Sebring International Raceway Twitter feed and we downloaded the Sebring Raceway iPhone app. In this way we were kept up to date with the pre-race build up and the preparations that were under way. Very disappointingly we discovered that Radio Le Mans would not be covering the race live and that there was no free WiFi at the circuit, so we would only be able to listen to the Radio Le Mans commentary by paying for WiFi access. In the event, we did try to sign up for WiFi but failed miserably and we missed badly being kept informed of competitors’ progress and the incidents during the race that we couldn’t see from our viewing points, as we had become so used to receiving at Le Mans. There is much that the Le Mans 24 Hours can learn from Sebring 12 Hours, but Radio Le Mans race commentary is one aspect where the French event wins over the American event hands down. Anyway, I digress. We sorted out our ESTA applications and travel insurance and checked baggage allowances. We decided to stay the night before we travelled at a Gatwick hotel in order not to have to suffer the panic of getting stuck on the M25 with the clock ticking down to flight departure time. We treated ourselves to the more upmarket, but further from the race circuit, hotel option offered by Travel Destinations. We had been warned that this particular hotel – one of the Hampton Inn and Suites chain which is owned by Hilton Hotel Group – was about an hour’s drive from Sebring but in the end this really wasn’t an issue: we had a very decent hire car and the roads were nowhere near as clogged up as British roads. (And it wasn’t me who was doing all the driving so I was quite content!). When we arrived at the hotel it was evening and I was immediately entranced by the strong and glorious scent of orange blossom which greeted us as we got out of the car. The staff at the hotel were very friendly, helpful and efficient. They immediately located our reservation details and within ten minutes of arriving we were settling into our enormous room, equipped with comfortable beds, fridge and a microwave. And of course icy cold air conditioning! 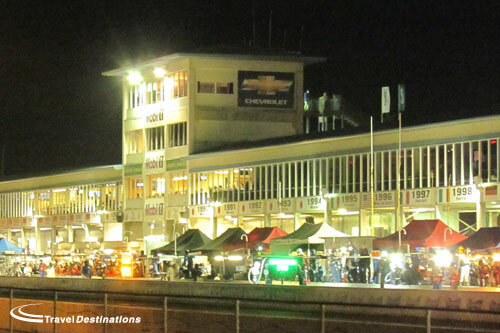 What were my initial impressions of the Sebring Raceway? I suppose that ‘unsophisticated’ is the best way I could put it. I don’t mean that in a negative sense: I suppose, it being America, I had been expecting glitzy, razzamatazz, & corporate. But it wasn’t. That first visit, the overriding memory is of golf buggies! Admittedly, the primary objective of the first time we went to the circuit was to collect our race tickets, so I was very focused on where the temporary parking was and where to go to pick up tickets, as well as what ID or evidence of the purchase I would be expected to produce. In the end there was no queuing and a very helpful lady at the ticket collection window quickly found our tickets without any fuss. Even though we had parked in ‘temporary’ parking there was no-one walking around checking cars and telling people to move on after twenty minutes, so we decided to get our bearings and see how the land lay. That was when I realised that absolutely everyone was riding around in a golf buggy. At other big motorsport events that I have been to, especially during the pre-event build up when the people at the circuit are mostly the teams themselves preparing for the race, the predominant mode of transport is the pit bike. The various spectators who are trying to get a glimpse of pre-race action wander around on foot. But at Sebring, there was almost no-one on foot, there were few, if any, pit bikes and everyone either seemed to have their own golf buggy or was riding around on someone else’s golf buggy. Indeed, when we tried to walk across a bridge leading towards the paddock area, we were told by a very polite and helpful security guard that no pedestrians were even allowed that way and the only way to get to the paddock was to hitch a ride on a golf buggy. With that, our helpful security guard then flagged down a passing buggy and told us (and the chap driving the buggy) to hop on board. It turned out that the buggy in question belonged to Sam Smith who was the marketing manager for the Lola manufacturer. He was delighted to find out that his passengers were fellow Brits and he took us right into the paddock and gave us some really helpful pointers about where to go and what to see. He also showed us where the footbridges were, which was, of course, useful when we left the paddock, not having a golf buggy to hand. So Sebring is.. friendly, well organised. Big, but low key. The officials had everything well under control but without being over-zealous or officious. They saw to it that the public played by the rules but they were relaxed in their attitude. The whole atmosphere, even on race day with thousands of people at the circuit, was relaxed, friendly and you could tell that everyone was there to enjoy the racing. I think that one example that really shows how chilled everyone was is that the day before race day itself was St Patrick’s Day. The Americans at Sebring seemed determined to celebrate ‘Paddy’s Day’ with even more enthusiasm than the Irish themselves. Everyone wore green: anything and everything green. A lot of people even dressed as leprechauns. The Sebring Raceway staff walked around handing out necklaces of shiny green beads and it seemed to be everyone’s chief objective – male and female alike -to acquire and to wear as many of these green necklaces as possible. It was completely bizarre, but it just epitomised the determination that everyone there had to really enjoy the race and the whole event. And what of the race? Travel Destinations had advised us to arrive at around 7am on race day in order to be in plenty of time to see the cars lined up on the starting grid before the race. This was quite an exciting prospect so, having got up at stupid o’clock, we arrived at the circuit as dawn was breaking. Getting out of the car, I heard a very strange sound nearby and then, in the misty half-light of the overflow car park field, I saw two enormous birds standing. I later found out that these were Sandhill Cranes, native to Florida and quite a rare species. It was a surreal way to start the day. It was an unusual experience, also, a short while later and before the race to walk onto the grid where the cars were parked in echelon formation in starting order. There it was possible to mingle with the teams, the press and the drivers. I had my ‘Martin Brundle moment’ when I actually shook hands with one of the drivers in the Audi team. I wished him luck for the race and it must have worked because his car ended up winning. Much more satisfying than standing in line for an hour to get an autograph. 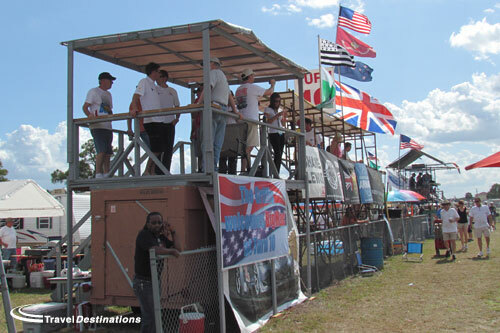 Sebring has no grandstands and a very few ‘bleacher’ type tiered seating stands. But, nevertheless, it is well set up for spectators. Knowing that there were no seats we bought a couple of folding camping chairs from one of the department stores in the shopping mall, conveniently located opposite our hotel. At frequent intervals around the circuit Sebring has constructed grassy viewing mounds. These are in fenced-off areas and are exclusively for spectators; no camping or barbecuing is allowed in these enclosures. The grassy mounds are high enough that you get an uninterrupted view of the race track. Their only disadvantage is that they offer no shade. Those wiser than ourselves (and perhaps with more carrying capacity) brought umbrellas or parasols which they set up beside their chairs. It is also perfectly y possible to get a great view of the race from trackside. Between the Armco and the catch fence there is an inner track which is used by official, press and emergency vehicles. This provides some protection from the track for spectators, but the best thing is that the catch fencing, apart from at the most notorious turns, is only up to chest height, which makes for unimpeded viewing from really very close beside the action. There are a few trees around the circuit which provide some shady spots from where the race can be watched during the hottest part of the day. And as the sun went down there were plenty of other excellent vantage points around the whole circuit. There were a few other attractions beside the cars, although the vast majority of people were there to visit the paddock before the race (the autograph session was mobbed and there were unbelievably long queues as people waited patiently in the blazing sun to get signatures from the top teams: Audi, Corvette, Flying Lizard) and then simply to watch the race itself. There was a ‘party zone’ consisting of an assault course (for enthusiastic young men) and a stage for the ‘Miss Sebring bikini contest’ (for enthusiastic young women). And, of course, there were very many food stalls selling tempting cholesterol-laden treats, plus an assortment of outlets for authorised and unauthorised Sebring 12 Hours merchandise as well as the inevitable emporia selling model cars. Returning to the comparison between the 12 Hours of Sebring and the Le Mans 24 Hours, another point worth mentioning is camping. You cannot achieve, in my (very) humble opinion, the ‘complete’ Le Mans experience unless you are camping either on, or not significantly far from, the circuit. For the majority, camping at Le Mans means camping in a tent. As I have already said, for the 12 Hours of Sebring we stayed at an hotel about an hour’s drive away from the venue. Personally, I don’t think that we missed out on anything, race-wise, due to our choice of accommodation. This is not to say that it is not possible to camp at Sebring: a large proportion of the infield area is given over to this purpose. But this is not the ‘tent city’ type of campsite that appears every year at Le Mans on any available patch of ground. At Sebring, actual tents are very few and far between. The Americans rock up in camper vans. Although it was noticeable that classic VW Campers and Dormobiles were very much in the minority. To the American race fans at Sebring a ‘camper van’ means an RV (Recreational Vehicle): Winnebago-type vehicles of articulated lorry proportions providing small bungalow-scale living quarters with all mod cons including (of course) air conditioning. 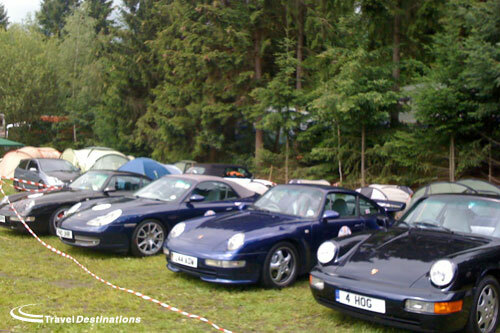 Most trackside camping pitches (parking spaces, really) are sold on a season-long permit basis and so are rarely available to the casual race spectator. But there is plenty of space to park up in the infield and everyone gets a great view from the top of their RV. Apart from actually being alongside the circuit, the best camping spot is at Turn 10, a ‘brake-hard-second-gear’ tight corner following a fast chicane section of the track, where a lot of action (both on and off the track) always happens. 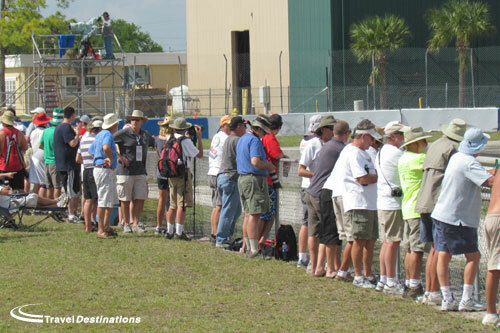 The campers at Turn 10 are a crowd of regular Sebring 12 Hours devotees who meet up year after year. They arrive in trucks loaded with scaffolding and plywood and build, in the space of a day, a veritable village, complete with viewing platforms, saloon bar and camp catering facilities where whole hogs are roasted and breakfast and other meals are served for fifty-plus people. 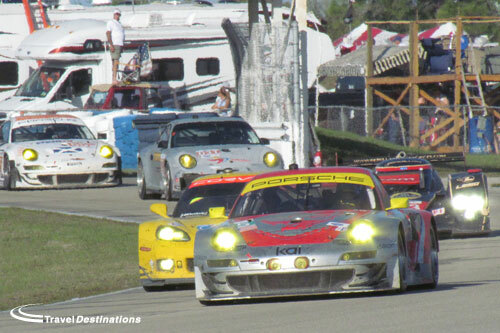 I won’t try to give you a report on the winners and losers in each of the classes at Sebring 2012. I will leave that to the experts or if you have some time to spare you can always ask my partner. He’ll be happy to talk you through it. For me the winners at Sebring were us! In conclusion, although the 12 Hours of Sebring doesn’t necessarily have the cachet or the history of the Le Mans 24 Hours, the knowledge of the spectators, added to the willingness of the organisers to include the spectators, in many ways puts Le Mans to shame. The track itself has been vastly developed from airport runways and outroads into a very challenging and bumpy circuit which keeps the race spectacular and interesting. 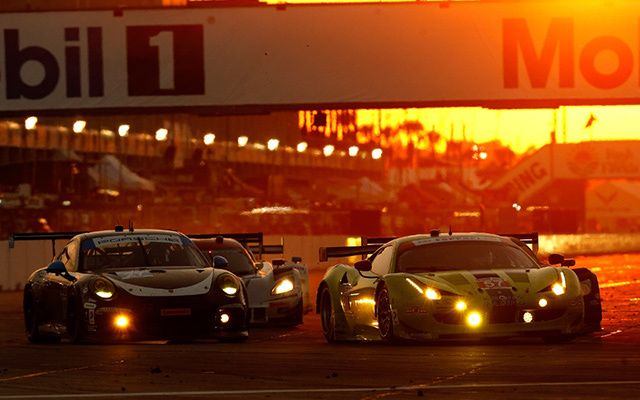 The 12 Hours of Sebring deserves its high ranking in the list of great sports car endurance races. We will be back. 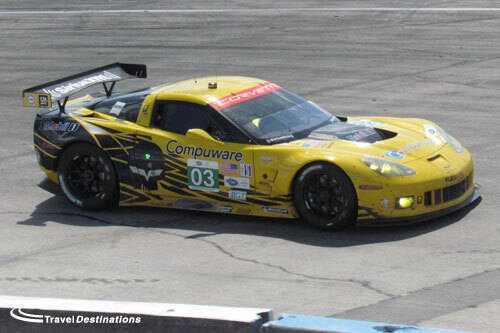 Jackie & Andy travelled with us to the 12 Hours of Sebring 2012. 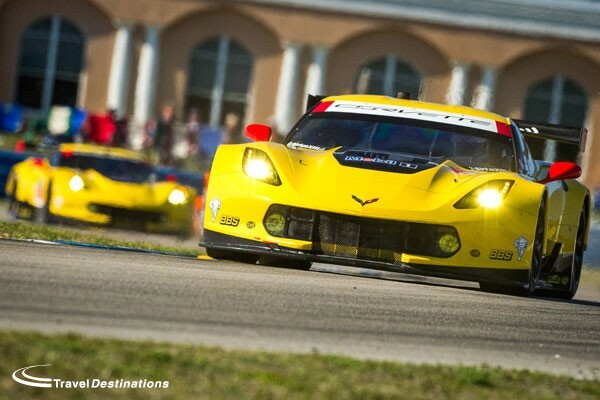 If you would like to follow them to Sebring please take a look at our Sebring offers here. The centre point to a recent fantastic weekend at europe’s biggest Classic car festival held at the famous le Mans race track was to take part in a parade of historic vehicles that opened up race day itself driving our ex rally 1957 MGA. It was the main focus of a fab road trip that contained lots of stories and giggles along the way, however it was all building to our big race day “parade laps”. The moment was upon us, and from the collection car park we were taken through the crowds to a main display and assembly area, the atmosphere was brilliant and yours truly was in 7th heaven, even Sue gave up her “car loathing” ways for a day and was grinning like a child. Still it didn’t matter as we were all going to drive very “sloooooooooooowly” like the Clerk of the Course had said.., weren’t we..? All of us, at our own skill levels and various speeds set about having the experience of a life time, and as is “normal” on these occasions intense memories have no order, just random, “moments..,” – it was utterly, utterly fantastic..!! I had intended to drive reasonably slowly and take in the memories, the detail, and the atmosphere, – however by half way around the first lap, – egged on by ‘the present Mrs Booton’ I had “maxed out” my self imposed rev limit and was already abusing a car more suited to a cream tea run on a sleepy Dorset afternoon. I took the racing line for the first chicane and then on to the bulk of the straight, waving like children to the Healy 3 litre we had chatted to in the paddock as it passed us. The far distant point in my rear view mirror still showed the very start of the straight which was probably by now a mile behind us. Then we all accelerated off through the tunnel of trees with the crescendo of their exhausts so strong that it was almost a physical touchable thing, and they were away, we had all made it safely and that one intense moment was utterly wonderfully fantastic, – and worth more than any number of cheap package tours to crowded, fag end strewn, european beaches. It was of course then spoilt slightly when “the present Mrs Booton” lent across and yelled something about me making it too easy for them to get by..?????!!%@!?*&??!!! Next time she can do the bloody driving, – or I’m at least gunna’ fit her baseball cap with mirrors..!! I’m sure I’ve had more fun, I just cant remember when..? Thank you Travel Destinations. We are at the Spa Classic & Le Mans Classic 2014 to do this all again. 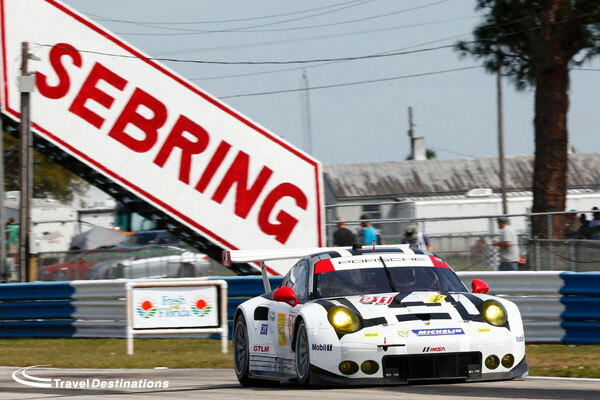 The idea of a visit to the Sebring 12 Hours was first mentioned during a conversation I had with staff from Travel Destinations at Le Mans 2012. Although I was interested in going I knew right away that it was unlikely to happen, for both personal and racing reasons. However, circumstances can change unexpectedly and they certainly did so over the next few months, particularly in racing terms. By the end of November I knew that the following year would be the last chance to see LMP1 prototypes at Sebring, as it would be the final season of the ALMS. At the same time there were persistent rumours that Audi would be present, even though the event wasn’t on the WEC calendar. As for me personally, I now had both the time and the funds available to be there. Bearing all this in mind, it didn’t take much deliberating on my part before I was on the phone to Travel Destinations in early December and booking their self-catering package. This took care of my race tickets, car hire and accommodation in Sebring – a few days later I’d booked everything else, including my transatlantic flights and a hotel for an overnight stay in Orlando. Once the Christmas and New Year celebrations were over the weeks passed quickly, until eventually it was time for my departure to Florida, on the Tuesday before the race. My journey to Orlando was smooth and uneventful – before I knew it our plane had landed (almost an hour early) and I was at my hotel. After getting something to eat it was time to sleep and reset my body clock. After a decent night’s sleep I woke up on the Wednesday morning to bright sunshine – once I’d finished breakfast I collected my hire car from the airport and began the drive south to Sebring. I’d never driven in America before but it was a comfortable journey, helped by the highways en route being almost empty. Along the way I spotted Andrew and Richard from Travel Destinations so we all stopped for some lunch a few miles outside Sebring. Once we’d finished lunch I called at Wal-Mart for some supplies, before heading to the self-catering studio unit that would be home for the next few days – it was ideal for my needs. After dropping off my bags and supplies I headed to the track for the first time and collected my race ticket – I spent a couple of hours exploring the paddock and hairpin areas whilst watching the action on-track. As the sun started to set and racing ended for the day I set off for home via a nearby fast-food restaurant. Practices started at 8am on Thursday and I arrived trackside a few minutes into the first one – it was sunny again but at this time rather chilly. I began by exploring the area behind the pits (which turned out to be mostly food and merchandise stands) before taking in action from some of the most well-known parts of the track. By the time the first ALMS practice started mid-morning I had been to Turns 1 and 17 as well as Turn 10, where I was invited to view from up on the famous scaffolding. After watching most of the ALMS practice from the new temporary seating at the hairpin, I returned to the end of the pit lane just as the session ended – cars returned to the paddock passing right in front of my feet! 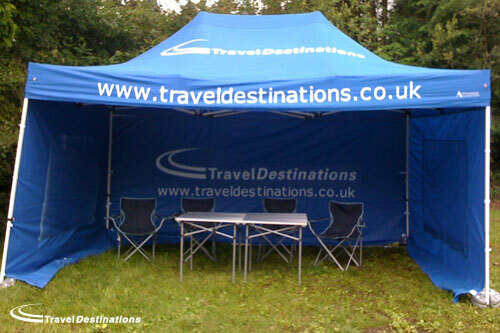 I stayed around the pits until noon when I went to meet up with Andrew and Richard from Travel Destinations, who had kindly invited all their customers to lunch. Six of us in total headed to Vanessa’s, which does buffet style catering and hospitality for teams and personnel – Guy Smith and drivers from Rebellion Racing were some of those that dined around us. Straight after lunch I made my way to Audi’s Fan Zone on the inside of Turn 1 – it was very quiet although they had set up their display of four cars that had previously won the race. The rest of my afternoon and early evening was spent moving around from the other new temporary seating area at Turn 14, through Turns 10, 13 and 17 before ending up behind the pits as the sun set. Once I’d had something to eat it was time to get out to the hairpin for the beginning of ALMS night practice – I stayed there for the first half of the session and then watched the remainder from the Turn 3, 4 and 5 viewing area, before driving back home. Track action on Friday also began at 8am and again I arrived just after the first session started. The day’s timetable listed slightly less racing (especially ALMS) but more fan activities. Between the first two sessions I visited the Gallery of Legends building, which seemed quite small inside but contained some interesting cars, including a number of previous race winners. 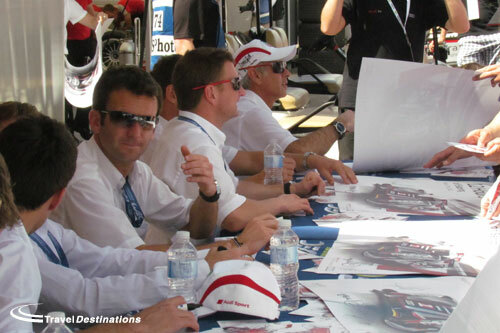 Before the ALMS practice started I was in the Audi Fan Zone, where I got to meet 5-time winner Dindo Capello – I left there just in time to get up to Turn 10, from where I watched the final ALMS practice prior to qualifying. After the session ended I was back at Audi for two presentations, one either side of the official autograph session in the paddock that was very popular. Following the second Audi presentation I grabbed some lunch and ate it while sat in the Turn 14 seats watching the qualifying sessions – the track seemed quite empty with each class appearing separately. There was just time for a final Audi presentation reviewing their qualifying performance before the Fan Forum began – an interesting half hour of Q & As with drivers from each ALMS class. There was a short wait until the final action of the day, which featured a large number of vintage race cars. I spent a little while sat in the seats at the hairpin taking in my very pleasant surroundings before I eventually set off home for a quick change of clothes. Shortly afterwards the six of us with Travel Destinations went out into Sebring for a curry and a few drinks – a very enjoyable evening. Warm-up for the race on Saturday was at 8am and I parked my car about 20 minutes before it began. The sun had barely come up so it was still cold, yet the car parks were already much busier than the previous two days. Once the session was over I had time for some breakfast, before I met up with the other members of the Travel Destinations party for the grid walk. It turned out that two members of our party had gome to Green Park straight after the curry and neither had slept or been back home. It wasn’t the way that I would have prepared to watch a 12 hour race, but they looked surprising fresh (probably because they’re both younger than me). Walking on the start / finish straight was very cool and also very busy – all the cars and drivers may have been there but they were almost hidden amongst the large volume of spectators present. The forty-five minutes we were allowed on the grid passed quickly, but I was lucky enough to speak to Andre Lotterer, Benoit Treluyer and Dr Ulrich whilst collecting photos and autographs along the way. After the grid was emptied and the national anthems were complete I just managed to get to the raised viewing area on the outside of Turn 3 in time for the formation lap – at 10.45 they were off! Over the course of the next 12 hours I visited the entire track at some point. At lunchtime I was stood on the scaffolding at Turn 10, whilst mid-afternoon I was in the only area of shade – this being provided by the small number of trees at the Fangio chicane (Turn 8). As the sun set I was at Sunset Bend (Turn 17) – this was a spectacular sight. After dark I was down near the hairpin and had a clear view of the winning Audi sending up a shower of sparks each time it raced past me. As the race finished I was on the midway with a great view of the celebratory fireworks. Shortly after I made my way over to the pit lane – those who’d also gathered there had only a short wait before we were all allowed access. I walked right past the winning car before finding a spot opposite the podium to watch the victory ceremony – the drive back home followed a little while later. Sunday morning for me meant packing everything up into the car and driving north towards Orlando – I had a ticket booked for a baseball game in Kissimmee, as my flight home wasn’t until the evening. More glorious weather accompanied my journey and it continued throughout the relaxing afternoon I spent watching the game – the pace of my day was quite a contrast to the others I’d had over here. It was only a short drive to the airport after the game had finished – once I’d returned my hire car I was able to make my way straight through the airport to catch the overnight flight home. A few hours later I was landing back in the UK and being met by my family – back to reality! 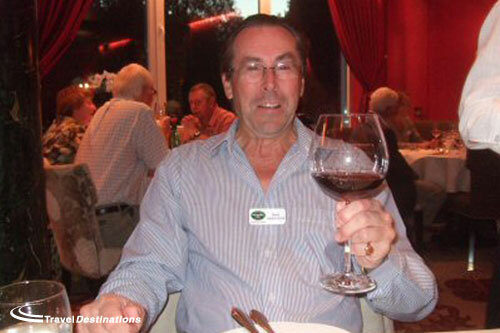 I travelled to Sebring as a customer of Travel Destinations – I’d like to thank Andrew, Richard and Helen for their part in making my trip so memorable. I’d also like to thank my understanding family. A personal view by David Jobson-Scott. 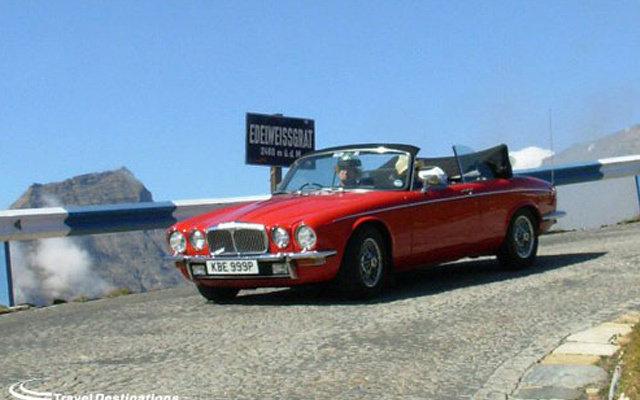 Ten Jaguars and two Daimlers set off from the UK for an Austrian adventure at the end of August 2011. Five of the cars were V12s. The tour leaders were Simon and Ann Cronin from the JEC , on a scenic driving holiday planned & arranged by Travel Destinations. Cars ranged from a 1948 XK120 to a new XJ saloon and set off from all corners of the UK. Most used the Eurotunnel service on 31st August, with several using the Hull to Zeebrugge crossing. The main “tunnel” group met up outside the terminal building before boarding the shuttle for France. We caught occasional glimpses of some of the cars during the day, but only met up with everyone at the first hotel in Marche-en-Famenne, Southern Belgium. One factor very obvious from the start was that this trip was very well organised, with detailed daily itineraries from Travel Destinations. The “door to door” mileage for us over the entire trip was an impressive 2,546. 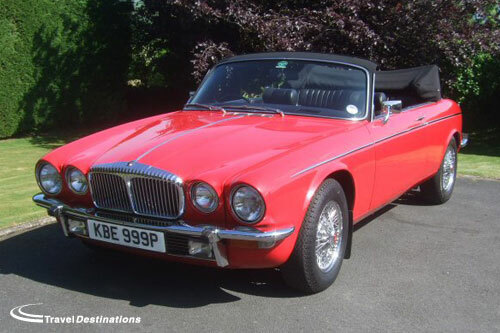 We set off in our 1976 Daimler Double Six Avon-Stevens Convertible from North Devon on Tuesday 30th August, hood down all the way, for the 273 mile drive to Folkestone. Day One, Wednesday 31st August. We boarded the 08.50hrs Shuttle for France and immediately found ourselves separated from the rest of the group by the loading staff! There was ample time to put the hood down and prepare for the Continent. It was then a longish drive of 214 miles, much on motorway, to the first Hotel Quartier Latin at Marche-en-Famenne in the Ardenne region of Southern Belgium. This is a beautifully green and forested area. We did find a nice restaurant for our lunch, but the service was very strange to say the least. After a wait of about 30 minutes from ordering, the waiter came to tell us that the machine for slicing ham had broken down and would we like to choose something else! Consequently, our “brief” lunch stop extended to 75 minutes. We ended up being about the last to arrive at the hotel but there was one compensation in that we had underground parking and the car hood could be left down. Marche-en-Famenne was a delightful old-fashioned town with lots of cobbled streets and an impressive central square: well worth walking around and enjoying the atmosphere. There was an extensive sitting out area in front of the hotel and many of the group congregated there after arrival. We were treated later to a typical Belgian dinner and were able to meet all the other participants for the first time. Day Two, Thursday 1st September. Our next destination was to be the Hotel Pfalzblick in Dahn, Germany and another drive of 191 miles. We followed the first part of the suggested route through Northern Luxembourg and along the river to Echternach. We then diverged by heading for Trier and then across miles of very narrow country roads to pick up the motorway later on. The hotel at Dahn was unusual in several respects: firstly the reception was being redecorated on our arrival so we entered via a back door and secondly, our room was several floors below the Reception area. The hotel is designed to be upside down in this respect. We were the second car to arrive and had a delightful lunch on the wonderful terrace at the rear of the hotel with the Kenworthys. The hotel was of a very good standard and we had a most enjoyable dinner with the entire touring group later in the evening. As usual, the name badges were an invaluable help in stirring the old grey cells into action. Despite the large group we met on the Croatian trip last year, only Simon and Ann and the Lindsays were known to us. It was, however, immediately apparent that we had a very interesting and varied group of fellow JEC travellers to get to know during our extensive tour to Austria. Day Three, Friday 2nd September. A longish drive of 232 miles to the Hotel Hirsch at Füssen, almost on the Austrian border. We had already encountered some road works on our route down and sadly today was no exception. The weather was also very questionable at times, but we kept the hood down through quite heavy rain until it became just too wet. We didn’t have far to drive at this stage and eventually arrived at Füssen in glorious hot sunshine! The Old Town was an enchanting place to explore and we had coffee and wonderful apfelstrudel whilst we watched the world go by. The old church was spectacularly ornate, with superbly painted ceilings and rich gold encrusted decorations. One of the highlights of the old town was a huge shop displaying all the local clothes fashions. The lederhosen were resisted! Dinner was again provided by the Hotel. Day Four, Saturday 3rd September. The final 193 mile leg of our marathon drive across Europe was to the wonderful Grüner Baum Hotel at Bad Gastein in Austria. We left the Füssen Hotel for the Fernpass and immediately joined a traffic jam which persisted all over the pass. In fact our overriding memory of Austria is that it is a wonderful clean fresh country, but lots of traffic, road works and tractors! The weather was sunny and warm and the journey quite easy. We stopped for petrol just after coming off the Innsbruck motorway and found a very peaceful café behind the garage which was perfect for our lunch stop. The final part of the run climbed up into the foothills of the Alps and we wound our way around the valley to the very secluded Hotel complex. Sparkling wine was presented to us as we checked in: all very civilised. Our room was in the annex that houses the spa complex. 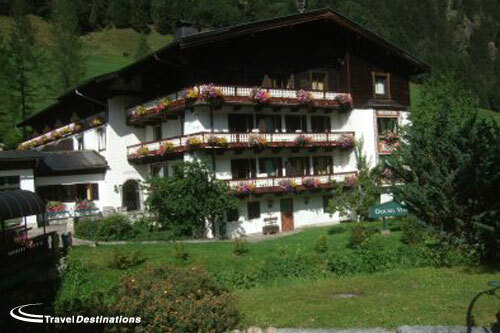 The accommodation was spacious and very well appointed, with balcony looking up the valley towards the mountains. We had arrived in good time to be able to have over an hour enjoying the outdoor swimming pool. This was a lovely relaxing reward for all the travelling. A champagne reception was held later beside the pool, hosted by the Blumschein family who own the Hotel. It was during this that we were handed our “route books” for all the activities taking place over the next few days. A huge amount of effort must have gone into the preparation and planning for these events. An excellent dinner was later served in the main Hotel restaurant. Our cars were resting in a specially reserved area behind the hotel. Day Five, Sunday 4th September. An early start for a trip to the Austrian Lake District and lunch at the Hotel Weisses Rössl (White Horse) in St. Wolfgang on Lake Wolfgangsee. Our initial instructions were to follow the “maniac Rolls Royce driver”. The Blumscheins have a delectable 1936 Rolls Royce 20/25 (GBJ 29 for RR aficionados) which was to lead us on our local travels. An eccentric Austrian in a Rolls Royce is quite a sight, particularly as we were summoned to proceed by Mr Blumstein with an Austrian hunting horn! A delightful day followed, including parking the cars right in the centre of St. Wolfgang. Our little convoy behind the majestic 20/25 must have created quite a stir. We had an excellent lunch at the White Horse and were then able to explore the town afterwards. We made our own way home and were surprised to find that quite a few of the group chose the toll pass over the mountains: very spectacular scenery and great fun for our cars. We clocked up a surprising 164 miles. Dinner was again in the main restaurant. Day Six, Monday 5th September. Our first “rest day”, or to be more precise, rest morning as plans had been made for our party to be transported by horse drawn carriages to the “Prossau”. The Prossau was a restaurant at the head of the valley behind the hotel and just over an hour ride up the valley (all owned by the Blumscheins). Many of the group set off to explore the town during the morning: we had a very lazy day around the hotel, including leisurely coffee in the “Apotheke”. This is the bar which is fitted out just like an old chemist’s dispensary, complete with masses of pull-out drawers. The weather wasn’t at all pleasant, with mist and light rain. We set off in our carriages with the hoods raised. This was a great shame because the views were impressive, but visibility out of the carriage was very restricted. We climbed to a height of 1278 metres. Some stretches of the track were very steep and the horses had quite a struggle. It certainly made a change from driving the cars up mountains, as progress was very much more stately and sedate. 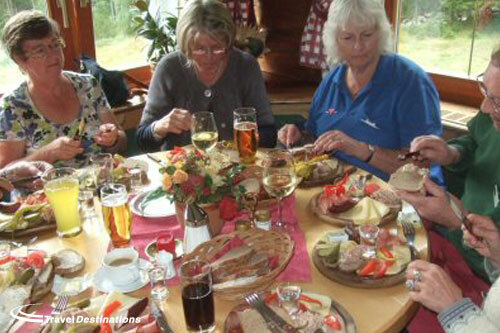 On arrival at the Prossau, we were ushered in to the restaurant area and treated to a magnificent spread of cold meats and other delicacies. Also included was a small glass of the local “fire water” (Sambuca): very potent. It was a delightful and unexpectedly large meal, with a view looking down the rather misty valley. During lunch, the clouds started to lift a little and we were able to descend back to the hotel with the carriages open, thus enjoying the view rather more. Dinner was a specially themed event in the main restaurant, with lots of Austrian folk music, including some yodelling and an excellent Austrian farmer style buffet. There was a superb range of different dishes to try. Many of the group certainly entered into the spirit of the evening! Day Seven, Tuesday 6th September. One of the main highlights of the holiday, the climb over the Grossglockner and an unexpectedly early start for a holiday at 08.30 hrs! We were marshalled into a convoy, behind the 1936 20/25 Rolls, to head for the train at Bockstein, just south of Bad Gastein, for the trip through the Alps to Mallnitz. On the way, we had a conducted tour all through Bad Gastein and this gave us an excellent view of most parts of the town. At the terminal, we drove the cars onto the train and then went to sit in the passenger carriages for the trip through the mountains. After leaving the train, we stopped to put the car hood down. The next stage of the journey took us to Winklern and the start of the 107 Grossglockner road. The drive up the pass was a delight, with very gentle curves and wonderfully wide road. Our first halt was a “comfort” stop not far from the top of the pass. The final ascent to the viewing point at Edelweissspitze (2,571 metres) was unusual in that we became stuck in a traffic jam. It was unbelievably busy and parking was quite a problem. However, it was all worth the effort for the Champagne reception that the Blumscheins had organised for us at the top. This included delicious snacks as well! The view was spectacular, especially so because we had bright sunshine but also clouds “flowing” over the mountains: all very dramatic. I remember as a child being driven over this pass with my parents on the way to Venice in about 1958. It was every bit as impressive this time round. Having experienced the wonders of the Grossglockner pass, one might have expected that the events for the day were almost over. Not so, as we then headed for Zell am See and to the impressive Schloss Kammer at Maishofen for an excellent lunch outside in the gloriously hot sunny weather. We were then treated to a shooting match on the resident range behind the Schloss. Suffice to say that the ladies of our group seemed to do rather better than the men! We had clocked up 122 miles by the time we arrived back at Bad Gastein. The final chapter of the day was a Gala dinner in one of the magnificent special function rooms at the Hotel Grüner Baum. We met up for drinks in the Apotheke beforehand and then had a very special final meal at this impressive Hotel. Various presentations were made afterwards, particularly the shooting award which went to Ann Cronin. We had a wonderful time and will be eternally grateful for all the hard work put in by the Blumschein family to make our stay at the Grüner Baum so special. Day Eight, Wednesday 7th September. On the move again and a pleasant drive to the Hotel Bayerischerhof on the Island at Lindau on Lake Constance (Bodensee). The weather wasn’t particularly inspiring and this was to be the first full day with the hood up. The early part of the drive was very busy, via Zell am See, Saalfelden and St. Johann. Once on the motorway to skirt around Innsbruck, the progress was faster, but it was only when we headed for the Alberg Pass that the traffic really thinned out. We then continued over the Hochtannberg Pass towards Bregenz. This was a lovely drive. We had our first picnic of the trip going over the Arlberg, although it was far too windy to sit outside the car. We clocked up 261 miles by the time we reached Lindau and the glorious view out over the lake. Dinner was at our leisure, so we explored lots of restaurants and eventually ended up having an excellent meal at our own hotel in the terrace bar/brasserie. It was sheer delight to be able to sit out on our balcony overlooking the harbour and watch the world go by. Day Nine, Thursday 8th September. A real “rest day” and an improvement in the weather. We explored most of the island part of Lindau and joined some of the group for coffee. Lunch was again at the hotel’s excellent terrace bar. The view over the harbour and the lake is well worth any additional cost. Frequent arrivals of the ferry boats meant that there was lots to watch. The view from our room at the front of the hotel included the old lighthouse at the entrance to the harbour. I had decided that this must be climbed! After a suitable interval from lunch we set off towards the tower. The climb was much more arduous than I had expected (Marilyn stayed at the bottom), but well well worth the effort. The view from the top was spectacular. We had dinner at an excellent restaurant in the main street and were joined by David and Ann Render. Day Ten, Friday 9th September. The day of our 9th Wedding Anniversary and 202 mile drive to Le Parc Hotel, Obernai, Alsace, France. The Bayerischerhof Hotel was excellent and our cars were parked in the underground car park. This allowed us to put the car hood down before we set off. Our route was along the north side of Lake Constance towards Titisee. After Titisee we then climbed up into the mountains, through cloud and rain over the Feld pass. We were fortunate that the garage we found to replenish our fuel had a small café attached and we were able to leave the car under the canopy while we had lunch. The journey through the southern Black Forest towards Mullheim was delightful. We then followed the Rhine for many miles but, very unfortunately, didn’t actually see much of the river until closer to Obernai, because the road was lower than the bank. There was almost no traffic on this road and it was a very relaxing drive. We arrived at Le Parc in brilliant sunshine just before 15.00 hrs and were able to enjoy our anniversary exploring the hotel and grounds. 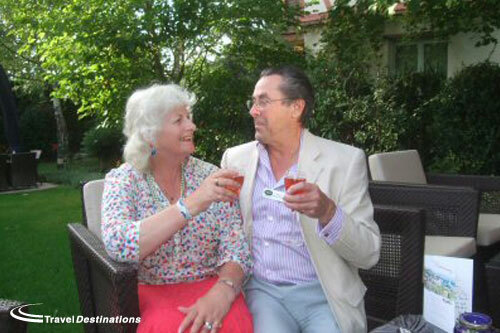 An excellent dinner followed, preceded by an anniversary Kirsch Royal aperitif out on the terrace. This was to be our last dinner as a group and the final chance to see everyone together. A small presentation was made to Simon and Ann. Day Eleven, Saturday 10th September. A 246 mile drive to the Hotel Continental in the centre of Reims. Virtually no traffic on the road through the Vosges mountains and lots of very twisty narrow sections. The weather was very hot and we were lucky to find a roadside café for refreshments. It was interesting to see the change in the scenery as the landscape became flatter and flatter. The final section of the suggested route was across mile after mile of traffic-free gently undulating countryside. It was a shock hitting the motorway again for the final entry into Reims. It was extremely hot when we finally checked in at 16.35hrs and it took me ages to find the aircon controls in our room (actually behind the open bedroom door!). The cars were parked in a huge underground car park on the fifth floor down. Once cooled off after all the unloading, etc., it was a pleasure to be able to walk around the town. The place was heaving with people and all the eating places were very busy. The last time we were here was on one of our Alvis trips in 1997 and 2002. I can’t ever remember it being so full of people. We had a very good dinner at a lovely Piano bar restaurant not far from the hotel and indulged ourselves in two Planters Punches each: very refreshing on such a hot and humid night. Day Twelve, Sunday 11th September. A completely free day to recharge our batteries, check the car and generally recover from all the travelling before the final phase of our run home. After a leisurely breakfast, we set off to explore the surrounding area. The weather had completely broken, with very heavy rain overnight and the temperature had dropped drastically. We had coffee and lunch, explored the cathedral again and dodged the rain drops all day. We found a nice restaurant for dinner just across from the Hotel, because I wasn’t feeling quite so good. Day Thirteen, Monday 12th September. The first part of the final leg home, was 174 miles from Reims to the Channel Tunnel. We set off with the hood down and in reasonable weather. It was windy and became progressively blustery. By some extraordinary chance we happened to stop at the same motorway service station on the A26 as the main group travelling with Simon and Ann. Marilyn got talking to some bikers who were all from Devon! The journey became progressively more interesting as the wind and then rain hit us. It became so unpleasant after we had checked in at the tunnel that we had to pull over and put the hood up. The weather was now so awful that we decided to go directly to join the shuttle queues, rather than try to meet up with the others: sorry about that folks but all I wanted to do was get home. Once back in England, the weather wasn’t too bad apart from the wind. We did, however, keep the hood up for the 274 mile drive home to North Devon and arrived home at 17.25 hrs. A good fast and easy run without too much traffic. The end of a most enjoyable holiday in excellent company, and 2,546 more miles on the clock. Thanks to group leaders Simon and Ann Cronin, Holiday organisers Travel Destinations, our hosts in Austria the Blumschein Family and all the other hotels that made this such a special holiday. Finally, special thanks to Scarlet our wonderful Daimler for transporting us in such grand style and comfort. Part of the fun in attending lots of motor racing events is meeting lots of really nice people. 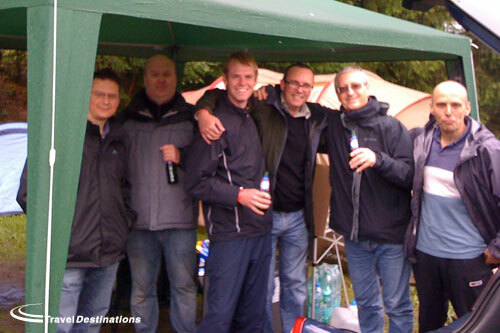 Although the week leading up to the Nurburgring 24 Hours 2011 was certainly damp there were no dampened spirits at the Travel Destinations private campsite at the circuit. As the Travel Destinations private trackside campsite filled up the atmosphere grew, the sunshine came out and there was great expectation for the start of the Nurburgring 24 Hours 2011.